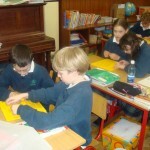 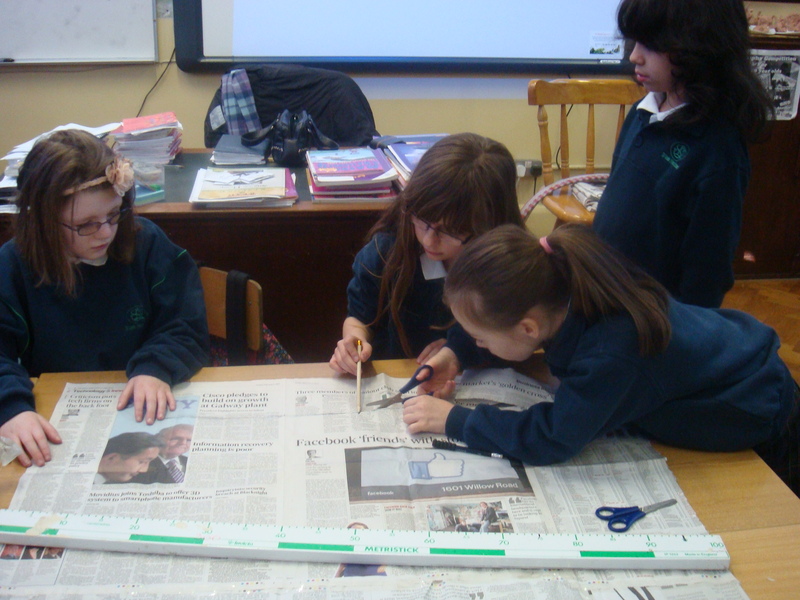 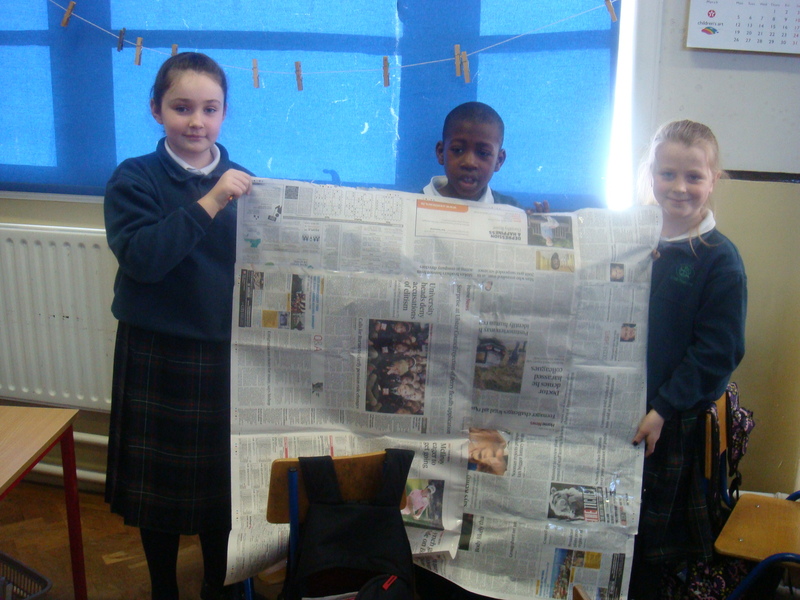 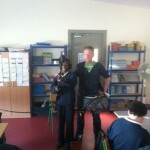 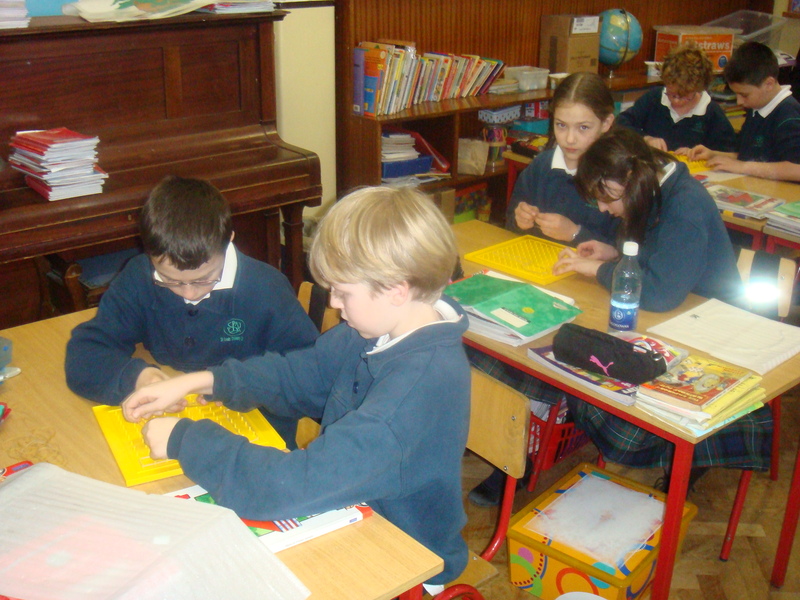 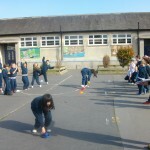 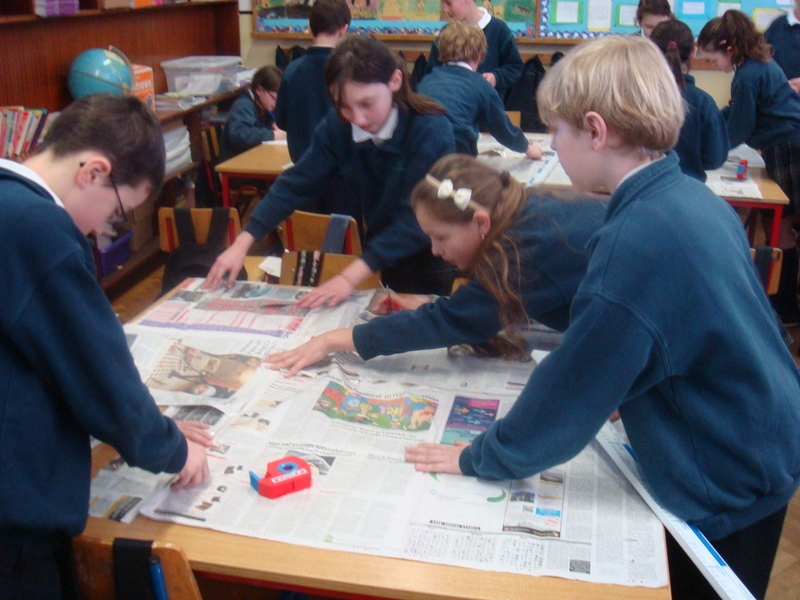 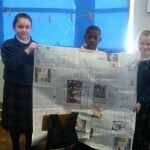 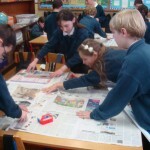 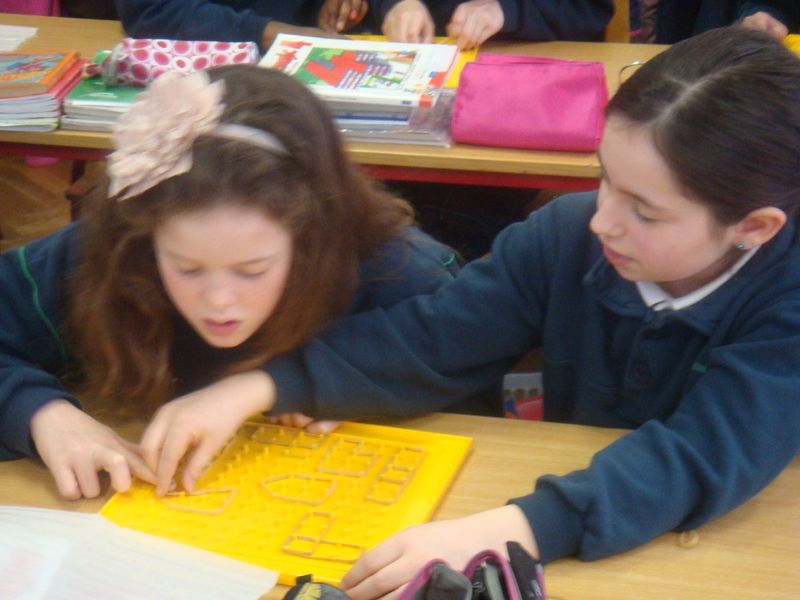 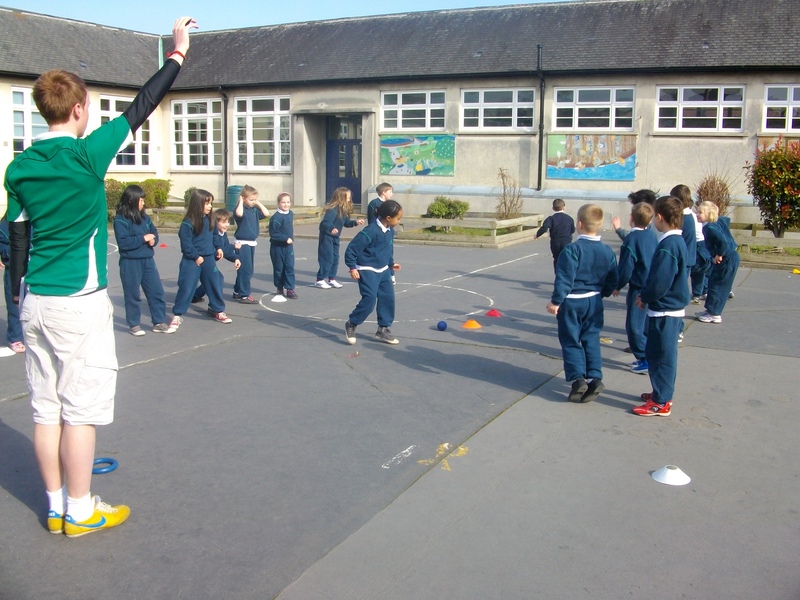 We had a really exciting day in 6th class, Room 14 on Wednesday just past March 28th…RTÉ came to film Mr. Mooney and the class as they learned about “buying Irish”. 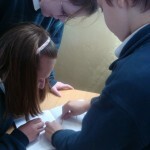 We discovered the importance of really examining labels on food to find out where they come from. 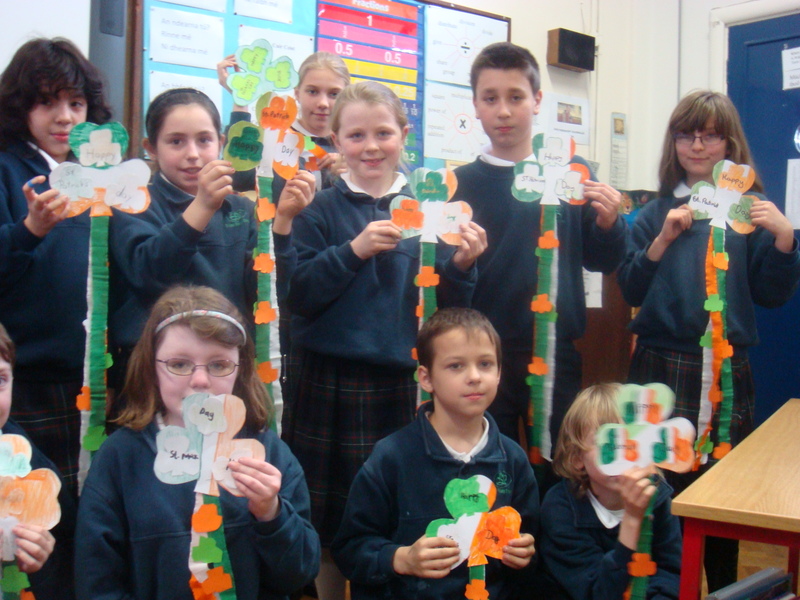 We were surprised to find out that many products which we thought were Irish were actually from different countries. 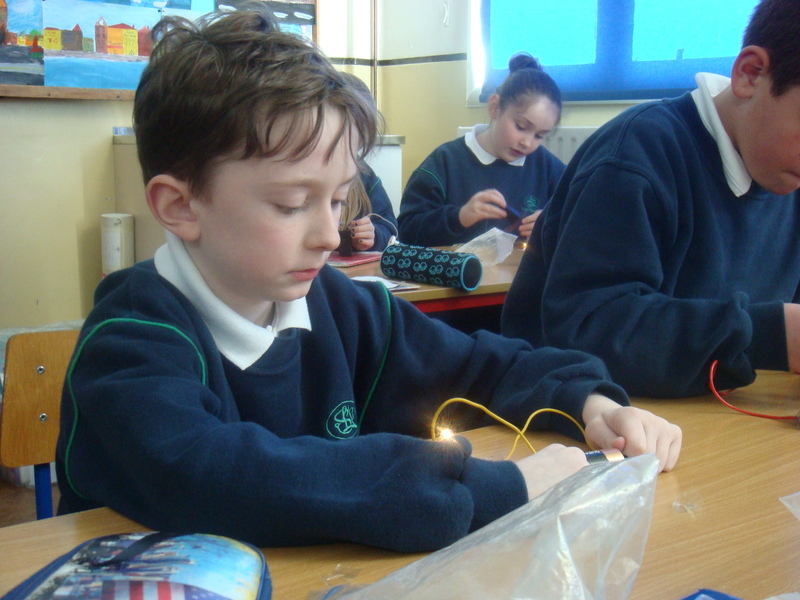 We were also amazed to discover that if each Irish household was to spend just €4 more on Irish goods 6,000 jobs would be created!! 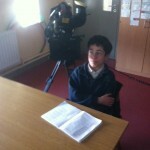 Watch out for us on “The Consumer Show” on RTÉ One from April 10th at 8.30pm. 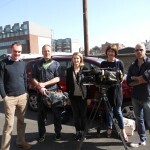 we will feature in the episode on April 17th 🙂 Exciting times!!! 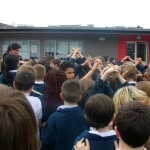 The St. Louis Hip Hop and musical theatre class went to the All Ireland I.D.T.A. 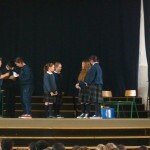 dance competitions. 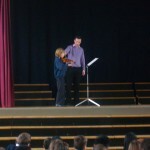 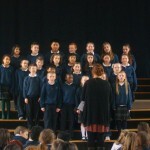 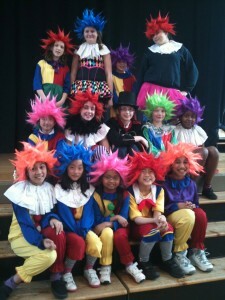 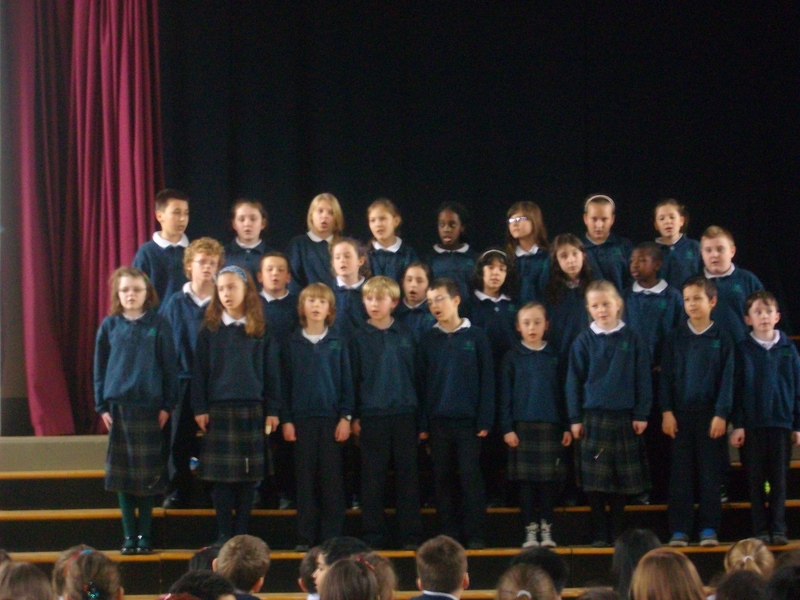 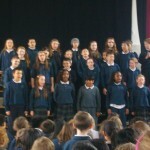 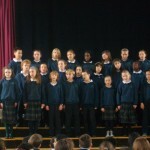 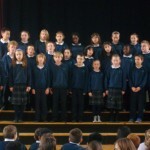 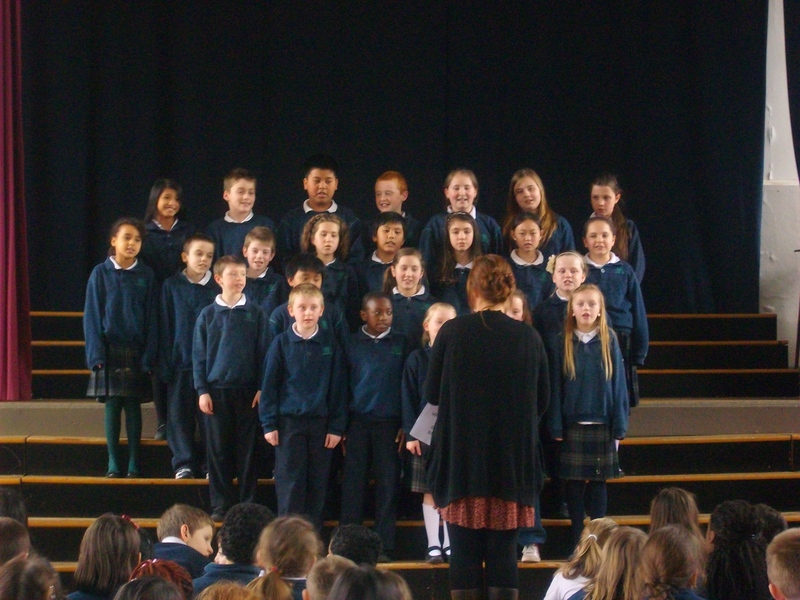 The group gained 1st place in the junior section of the musical theatre competitions. 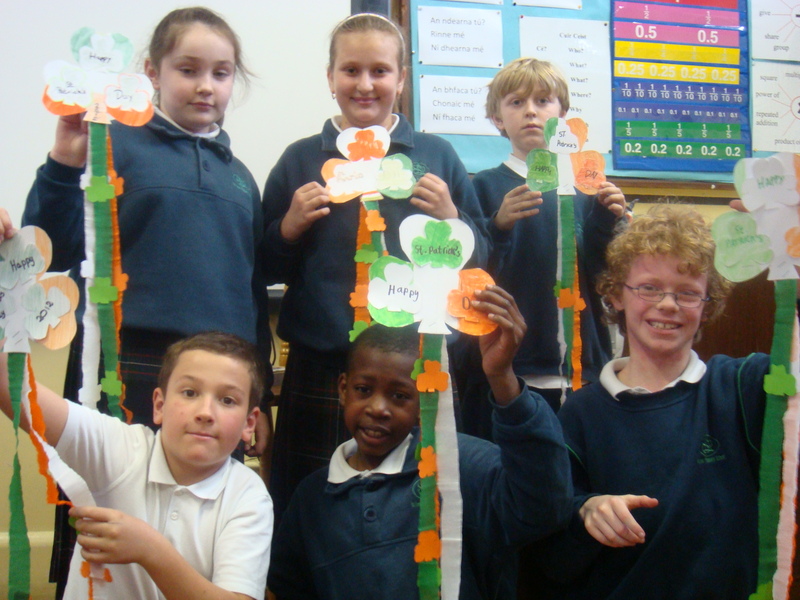 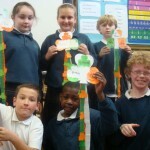 Happy St. Patrick’s Day from Room 3! 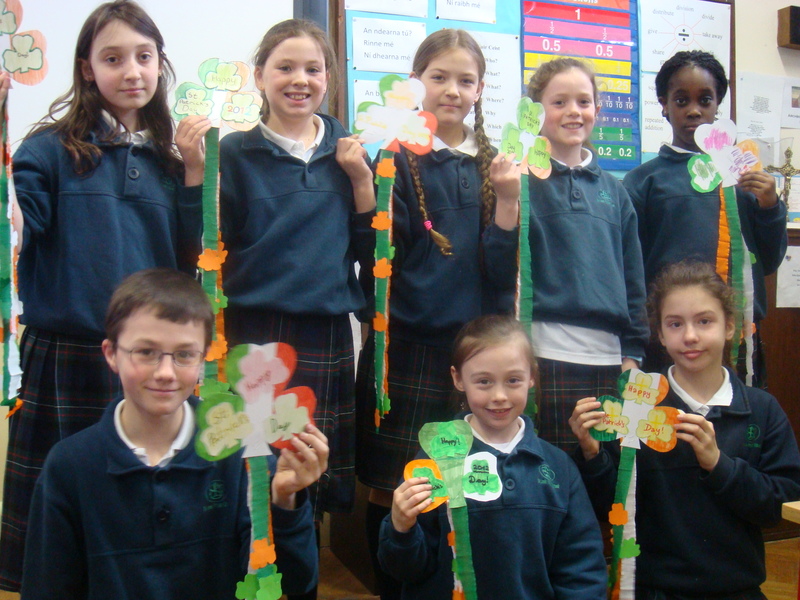 All of the boys and girls in room 3 wish everybody a Happy St. Patrick’s Day! 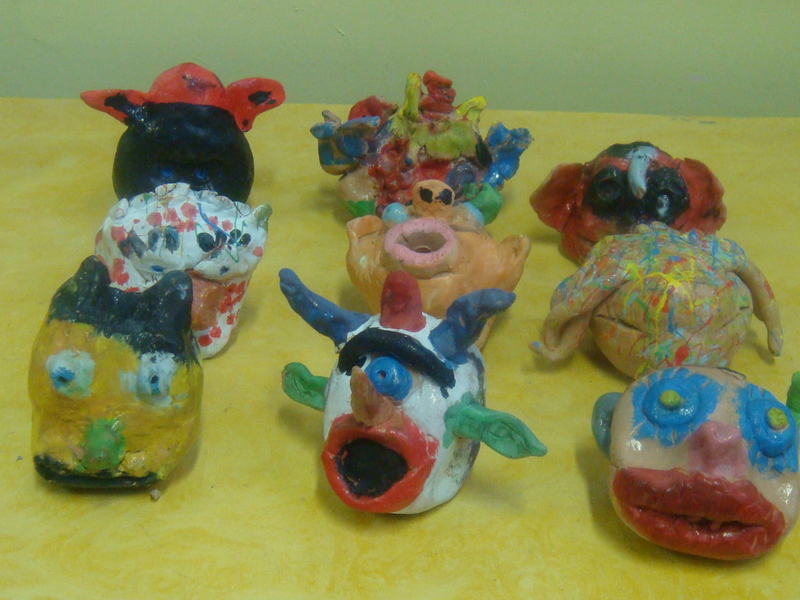 How do you like these mythical creatures that room 3 made. 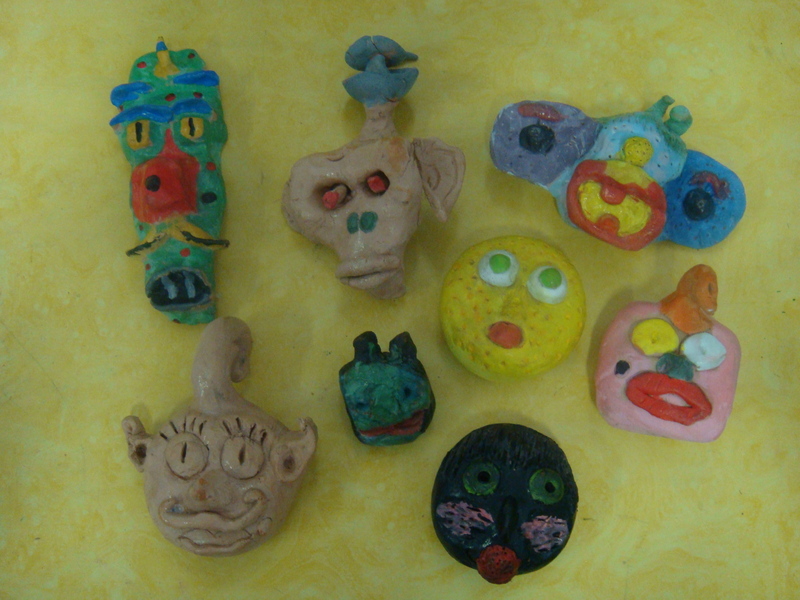 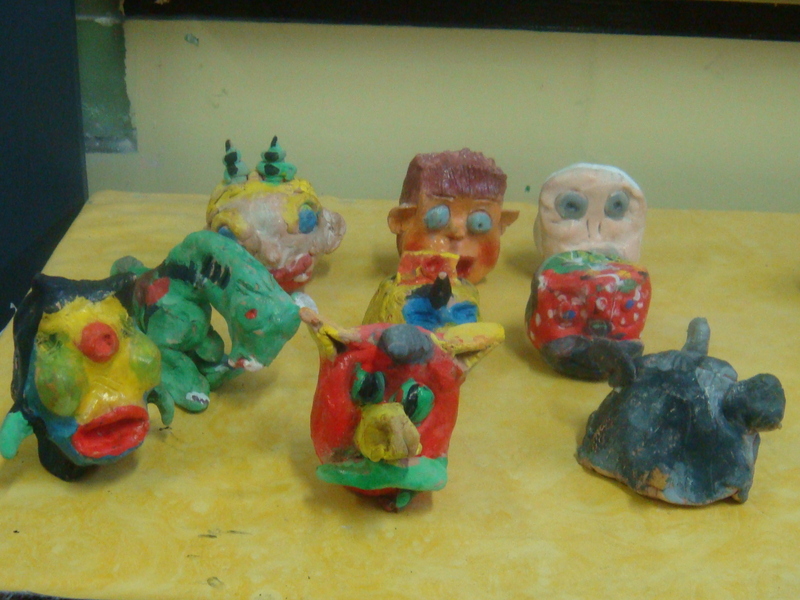 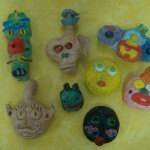 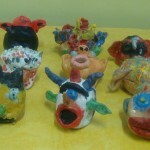 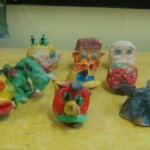 They worked very hard to make them out of clay. 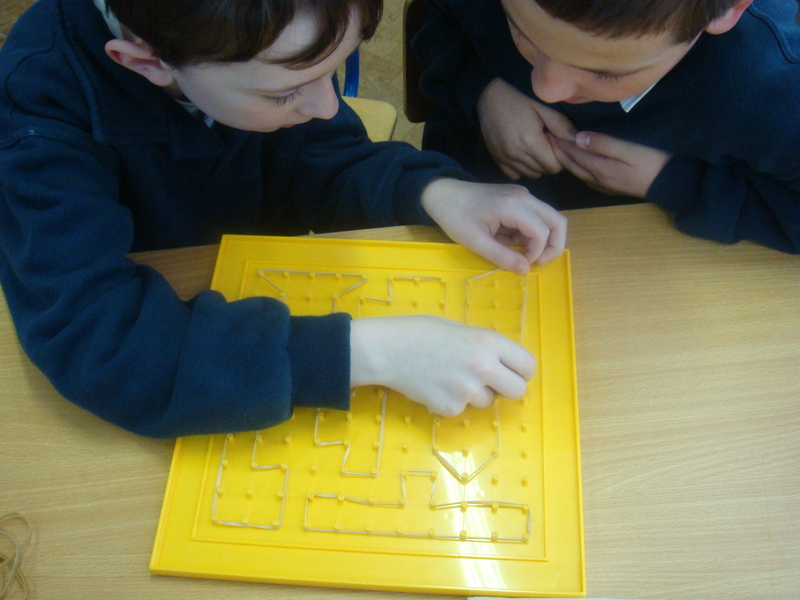 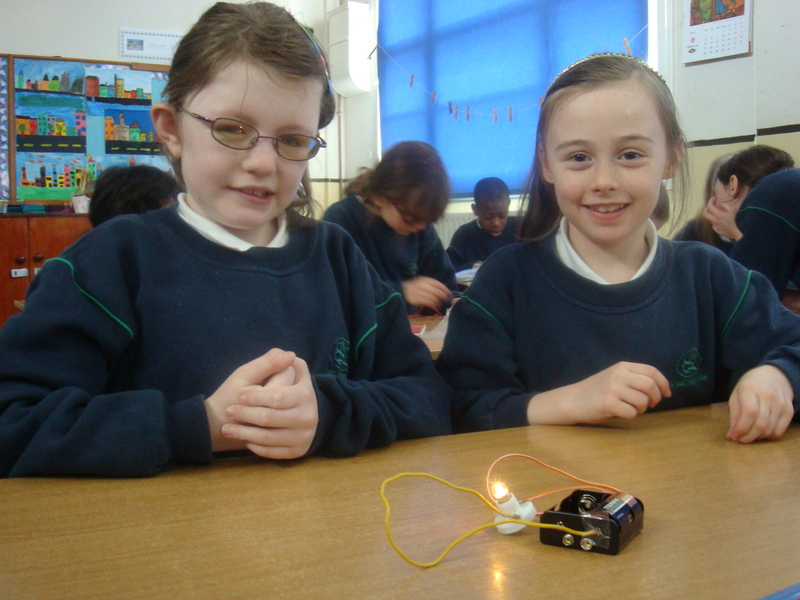 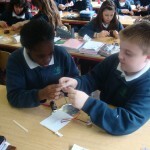 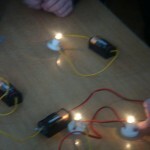 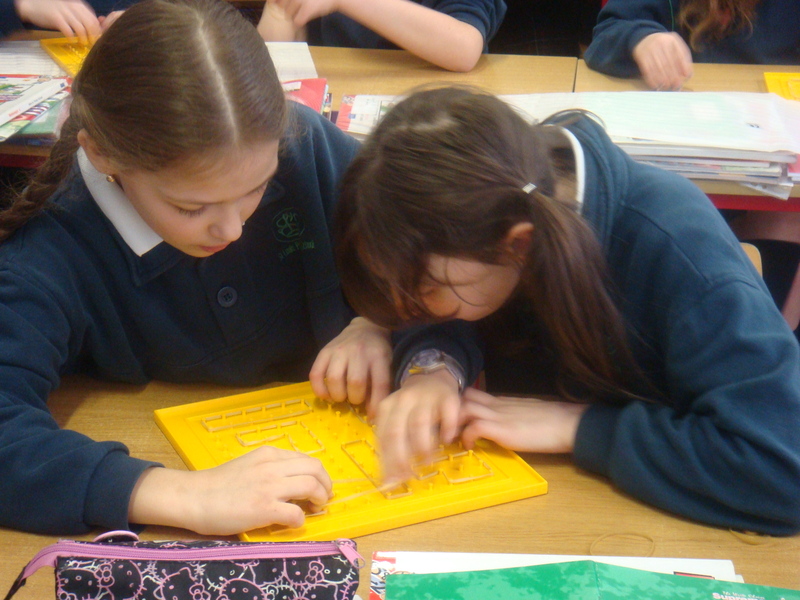 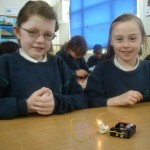 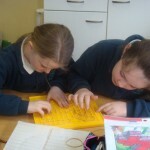 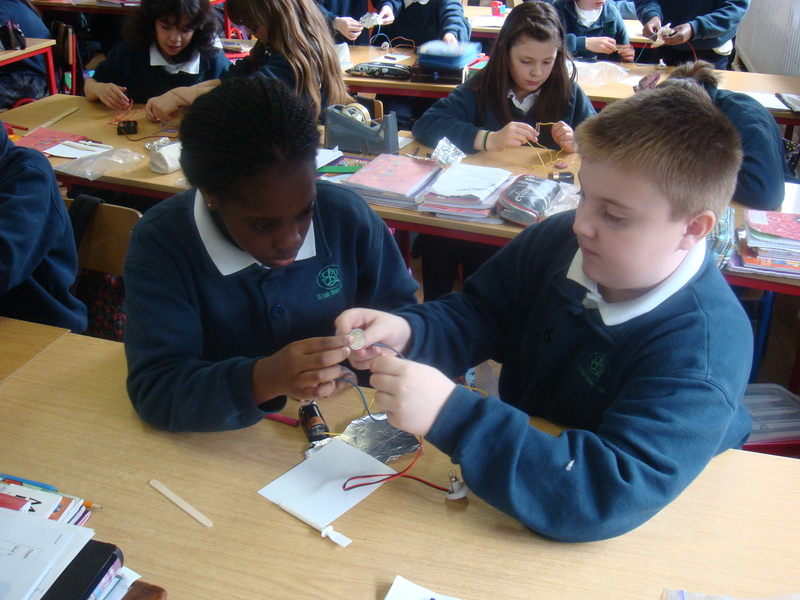 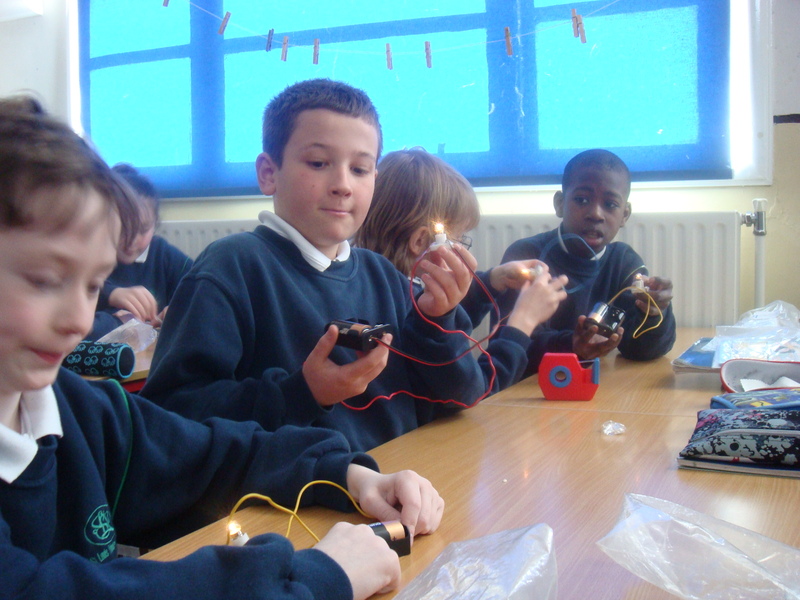 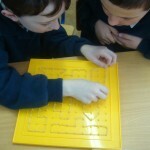 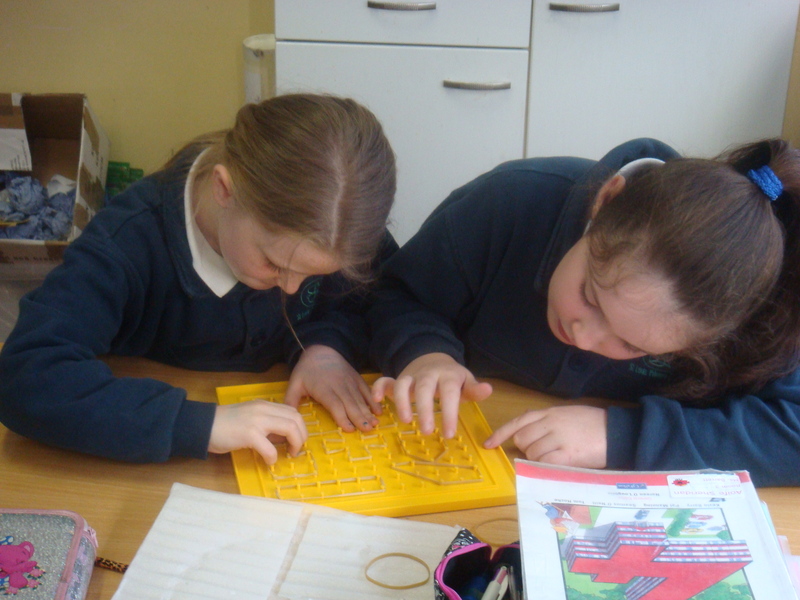 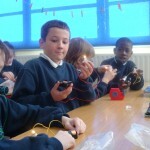 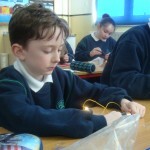 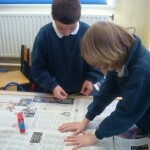 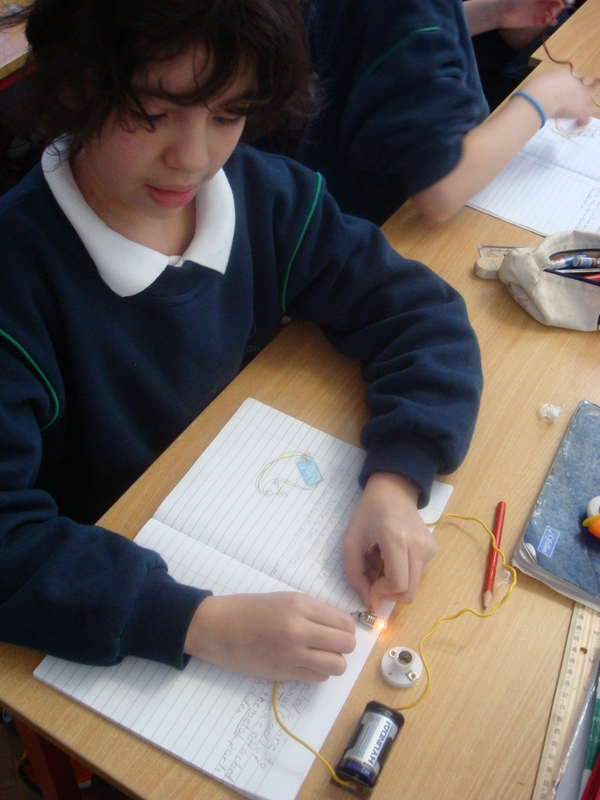 Room 3 made circuits in science. 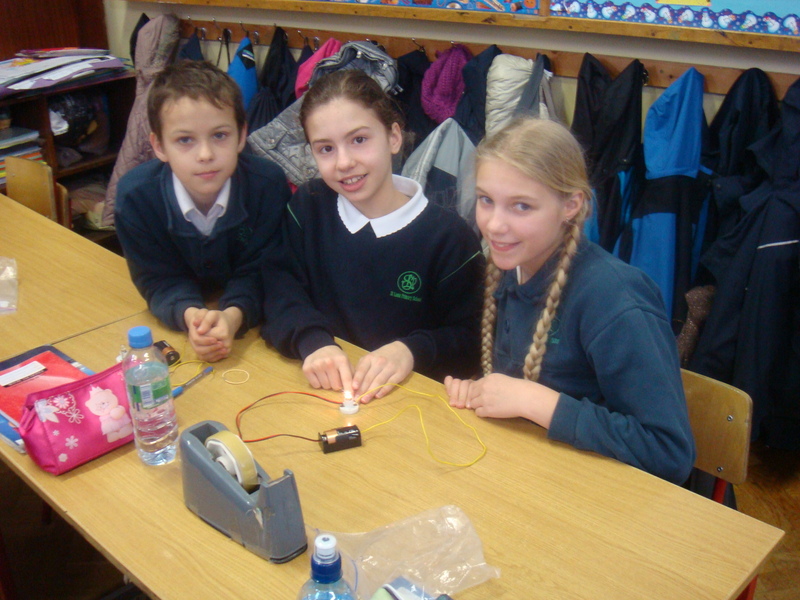 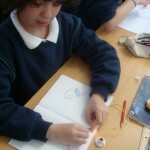 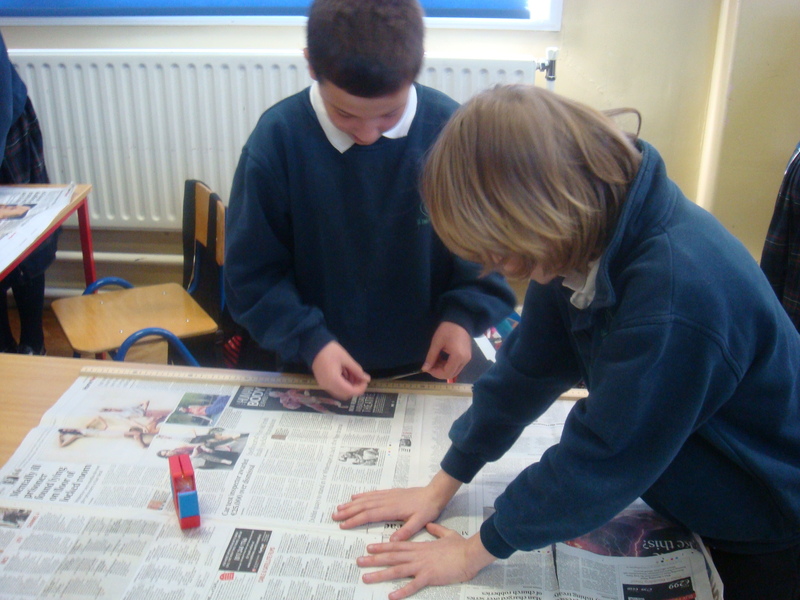 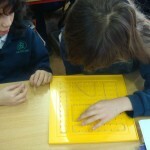 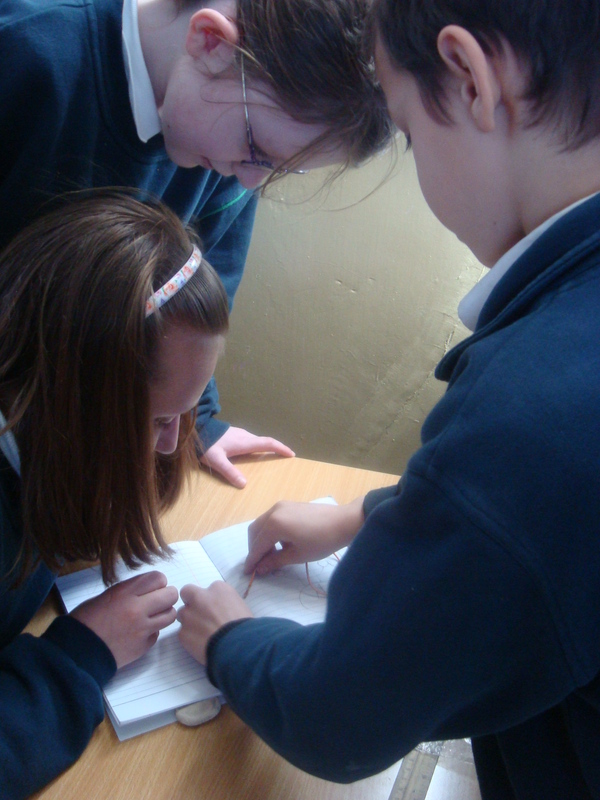 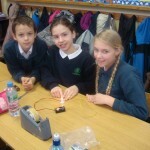 They experimented to find out which materials conduct electricity. 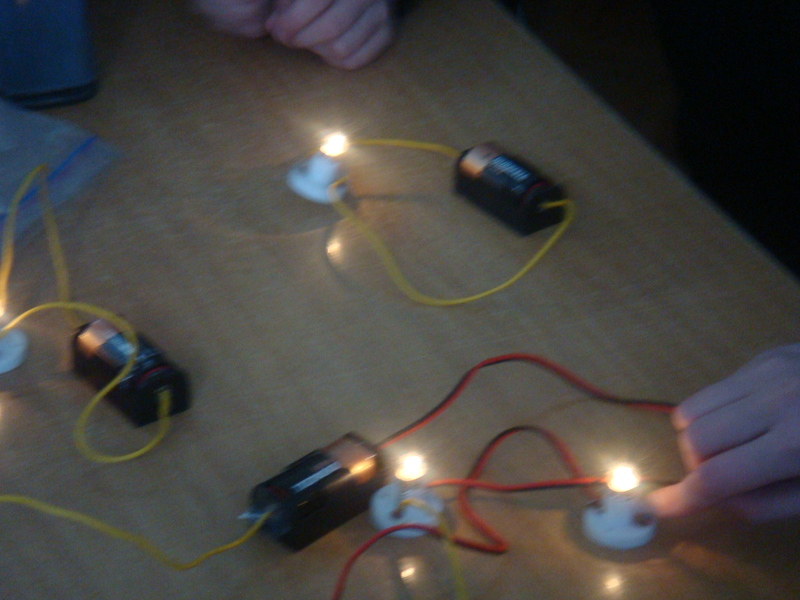 Can you guess which materials conducted electricity? 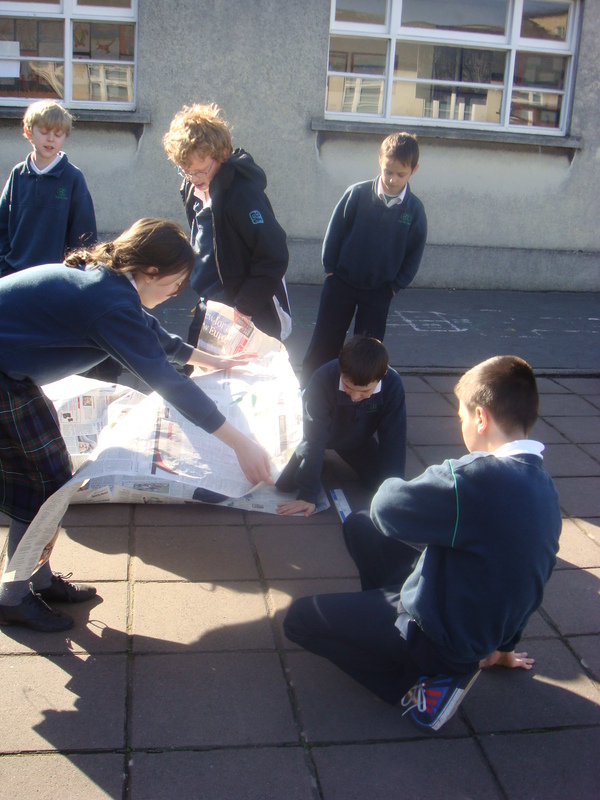 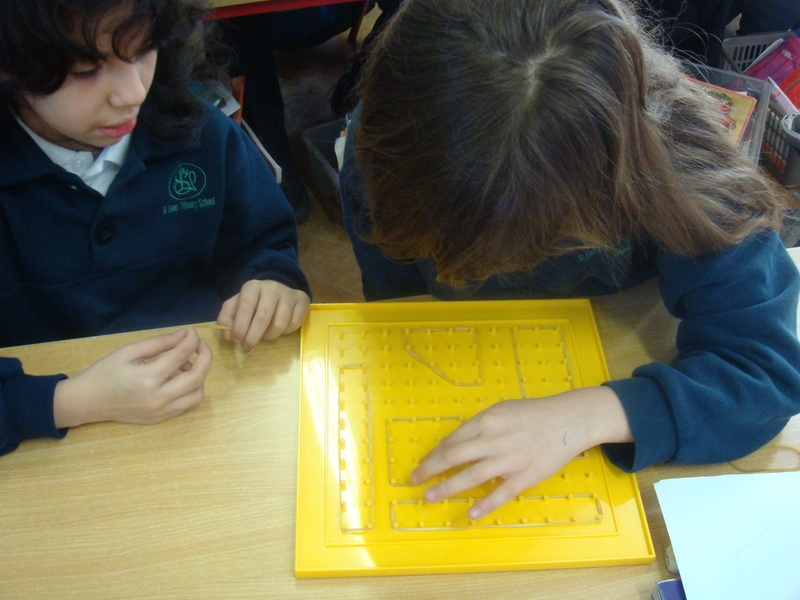 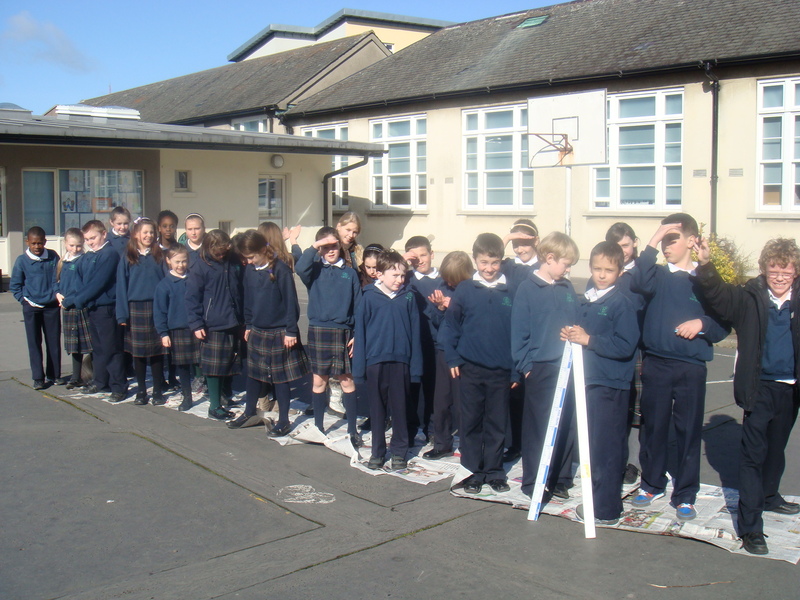 Room 3 learned all about area in maths and were discovering just how big a square metre is. 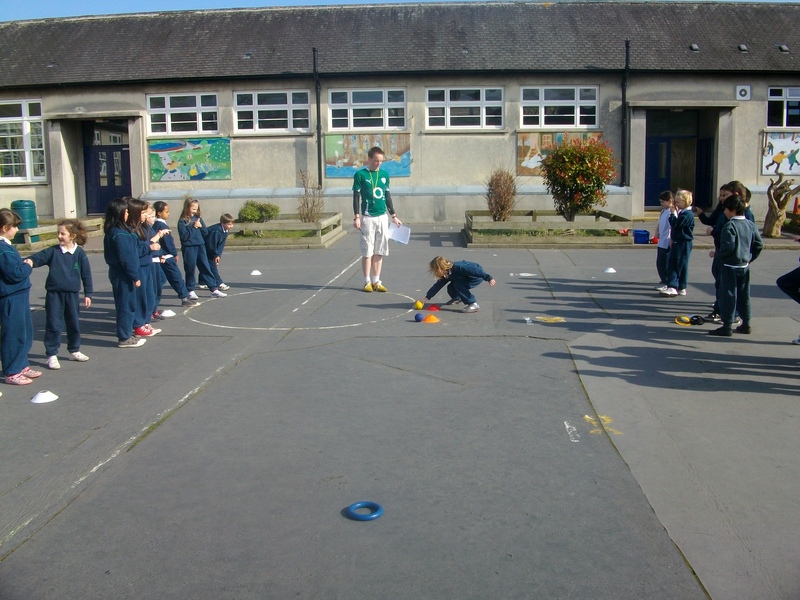 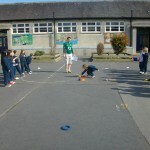 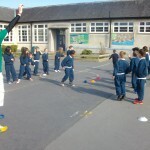 Room 2 had great fun in P.E with Richard. 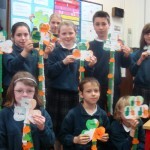 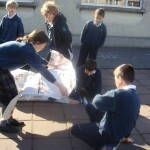 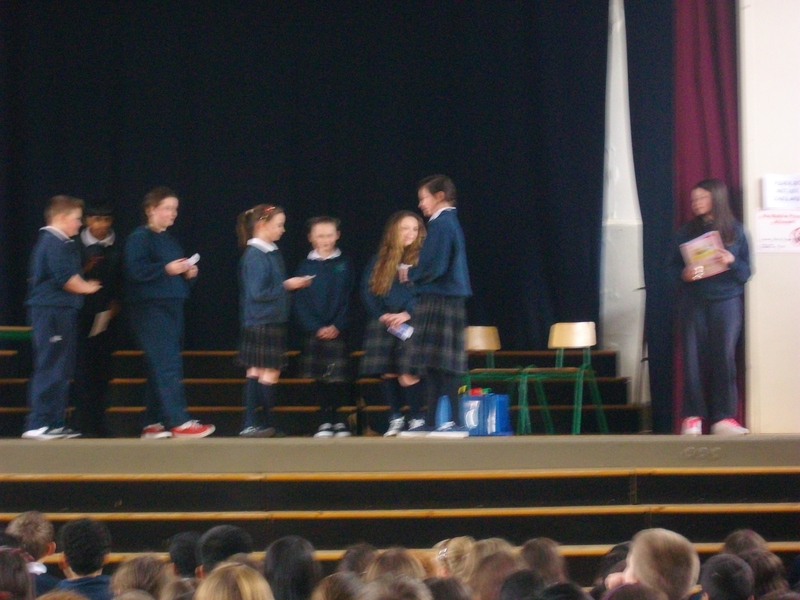 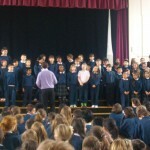 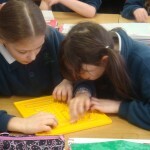 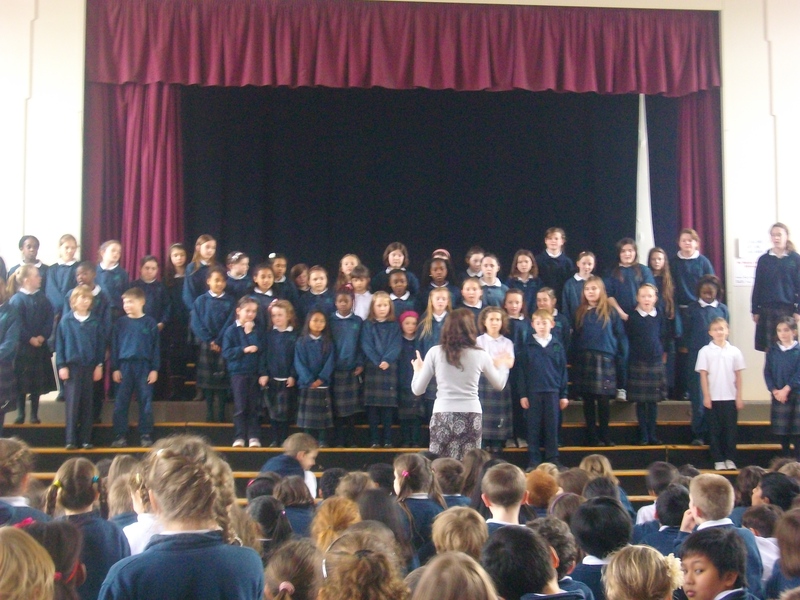 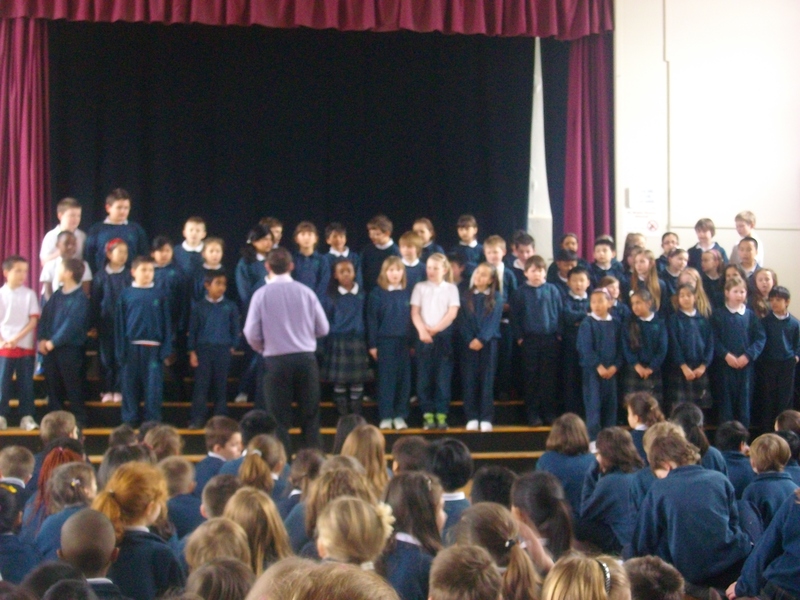 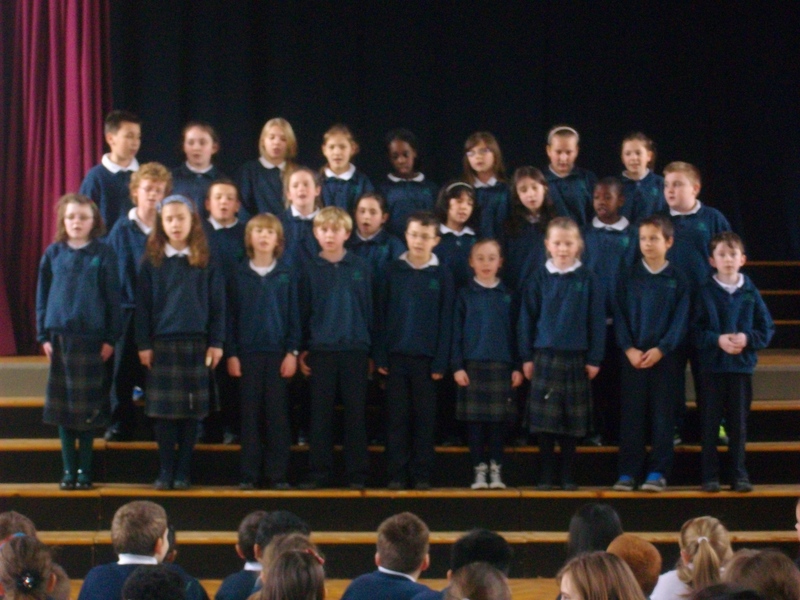 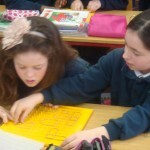 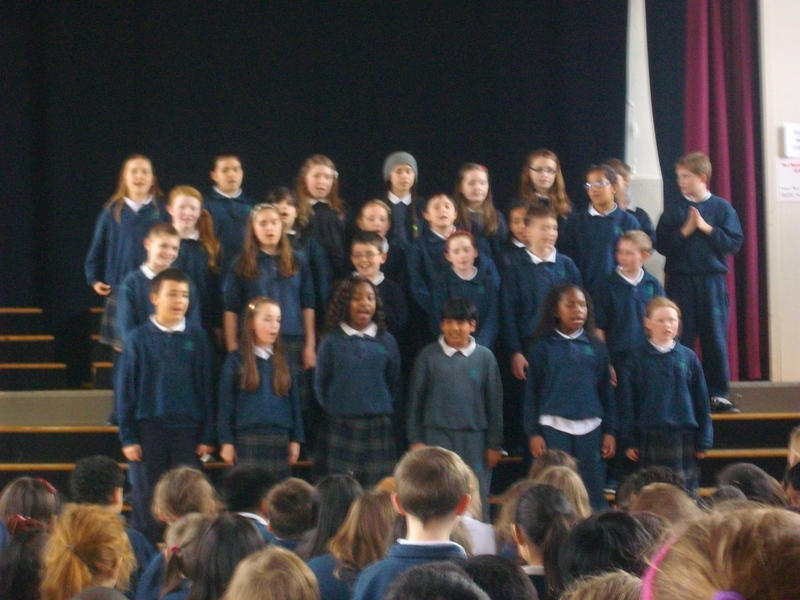 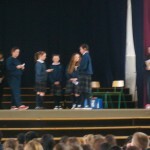 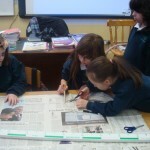 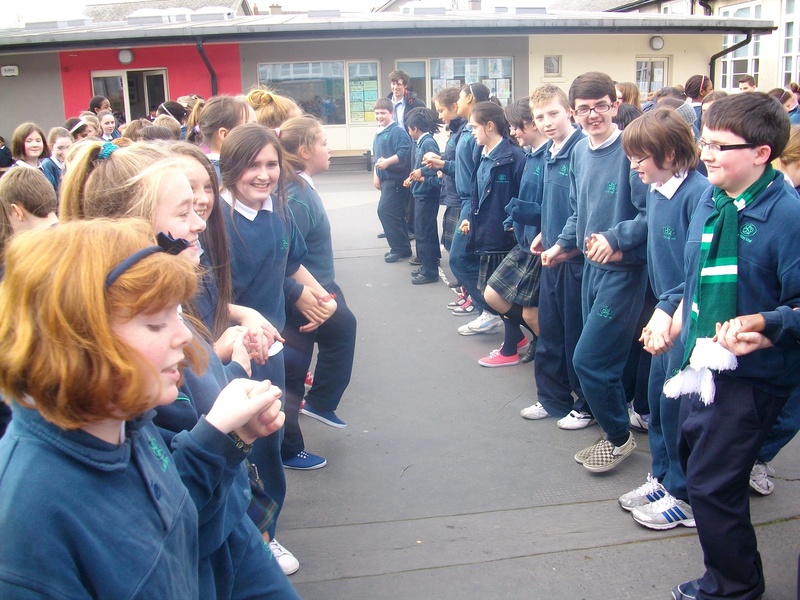 All of the pupils came to Halla Cullen to celebrate Seachtain Na Gaeilge. 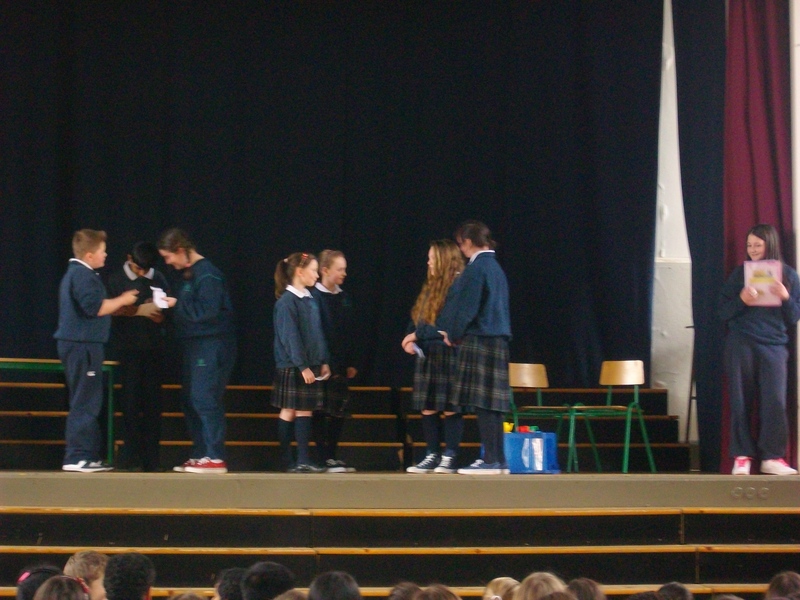 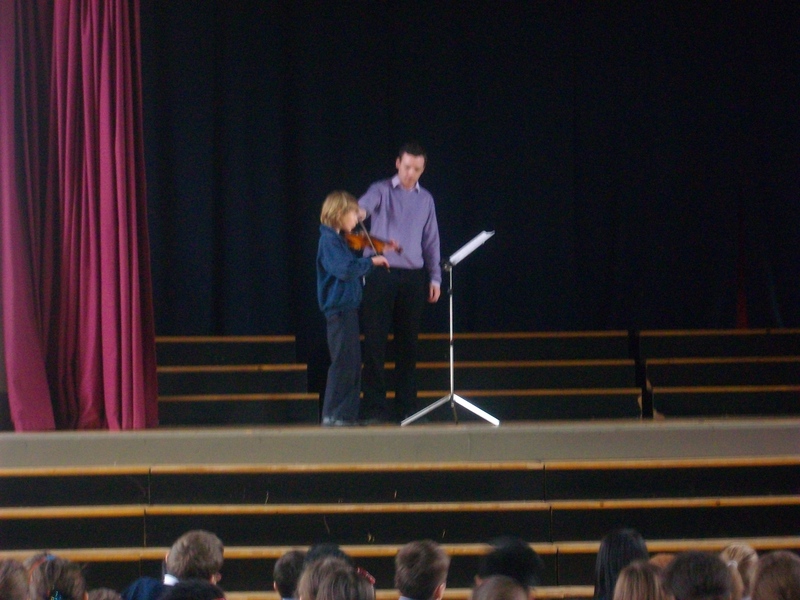 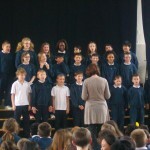 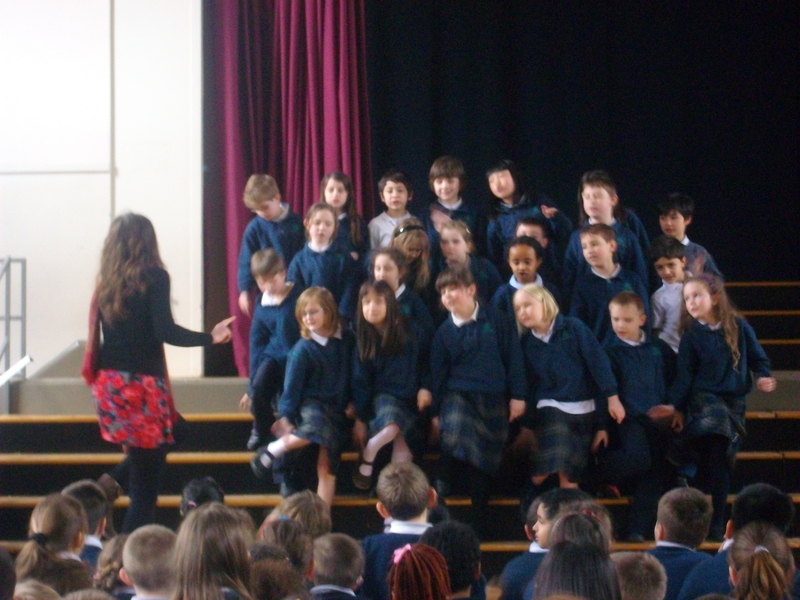 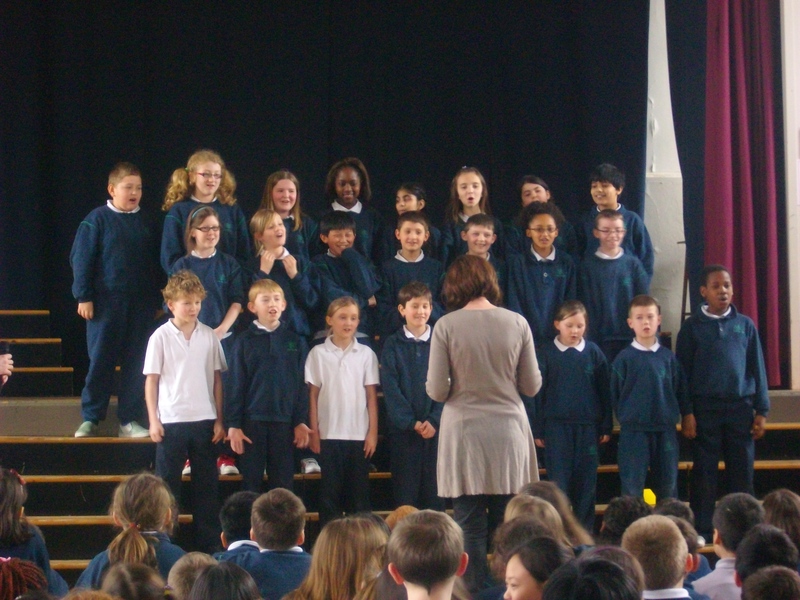 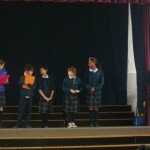 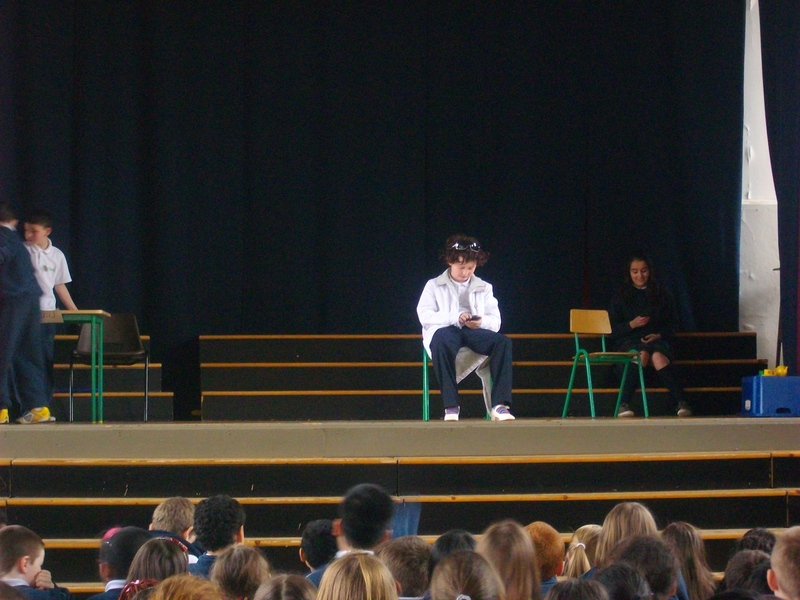 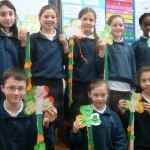 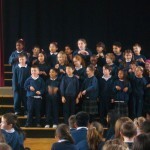 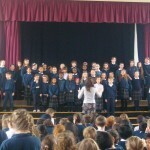 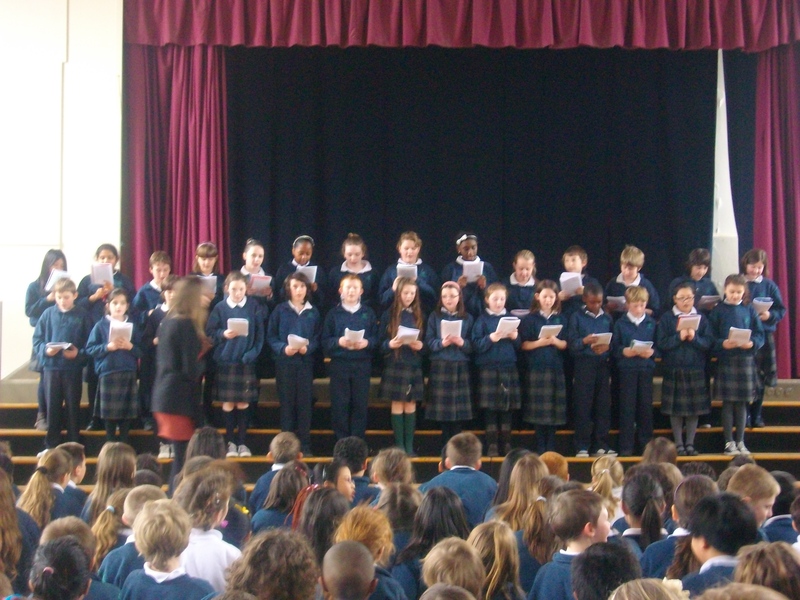 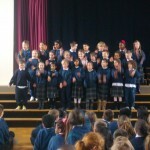 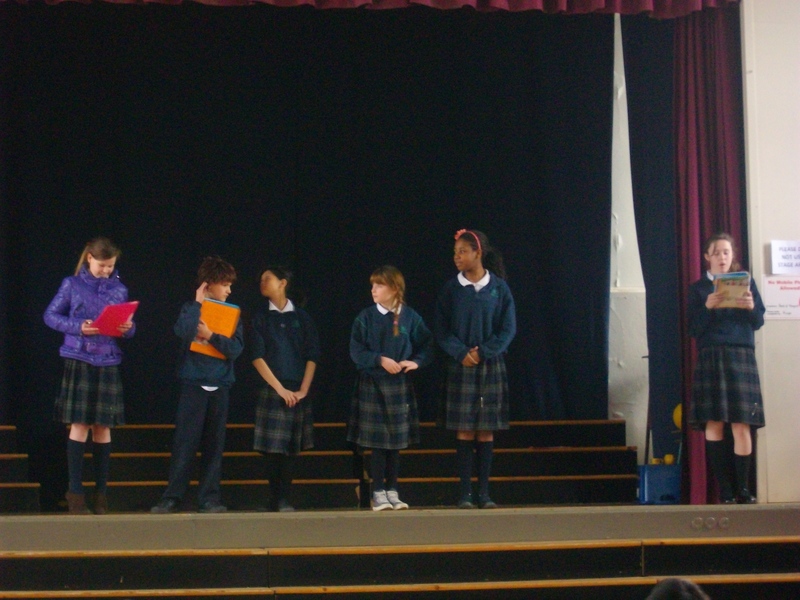 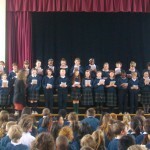 The different classes performed poems, songs and dramas. 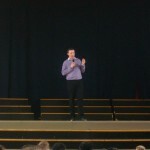 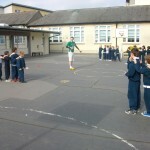 Mr. Mc Garrigle performed some Irish dancing too. 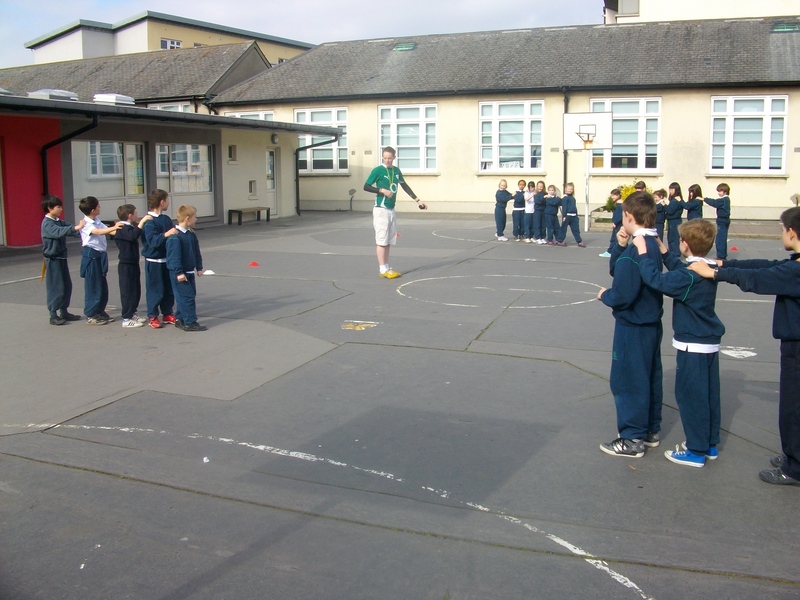 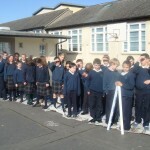 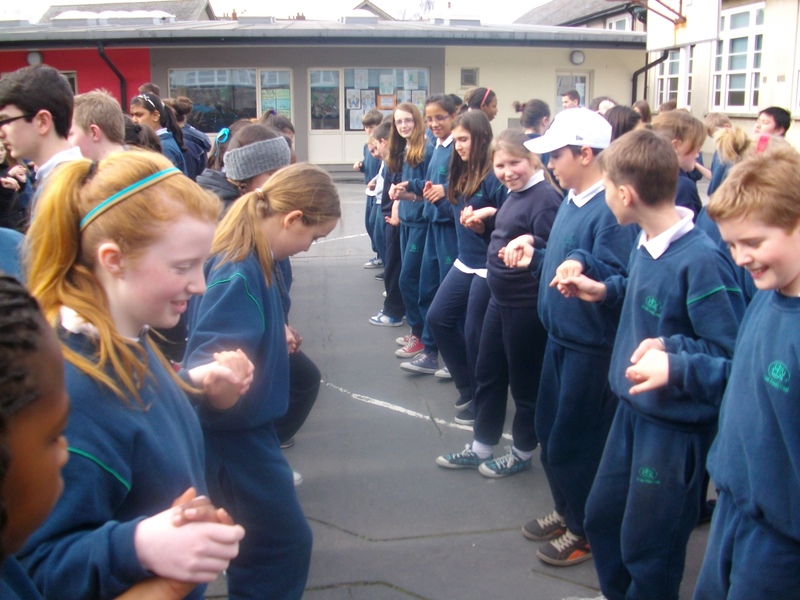 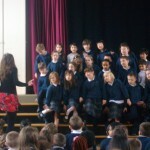 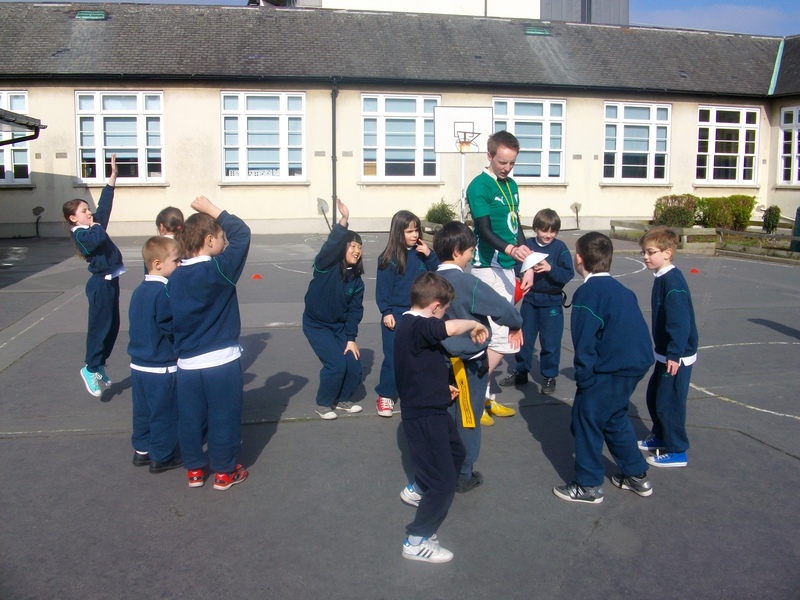 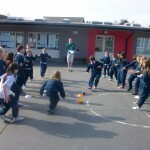 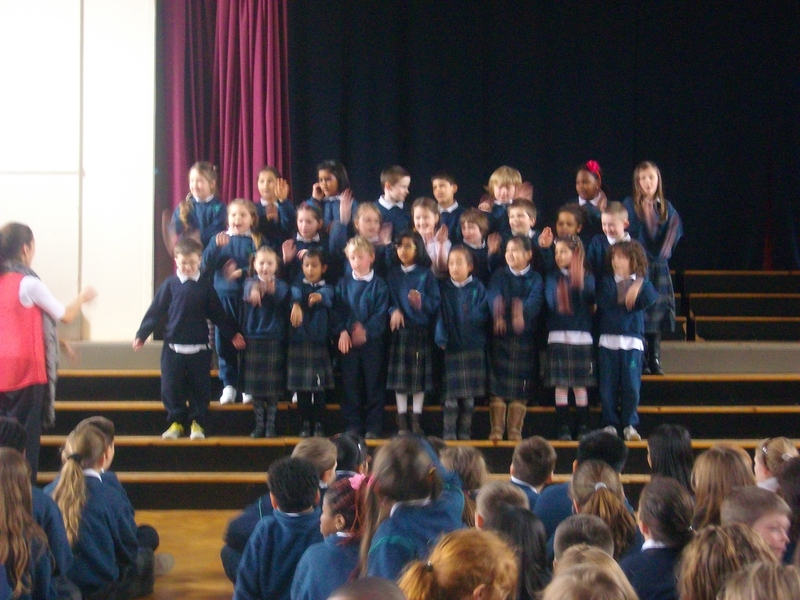 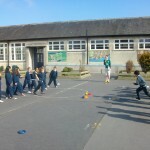 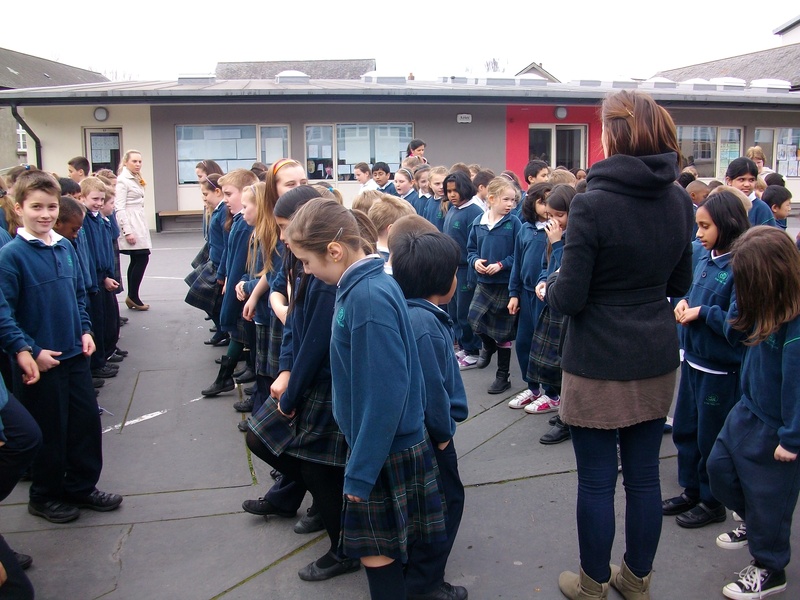 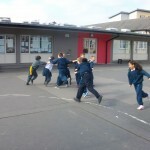 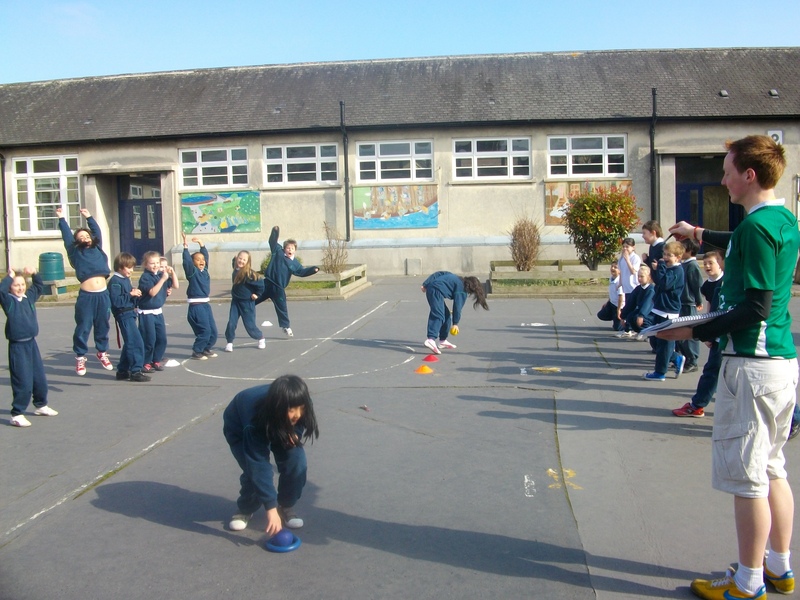 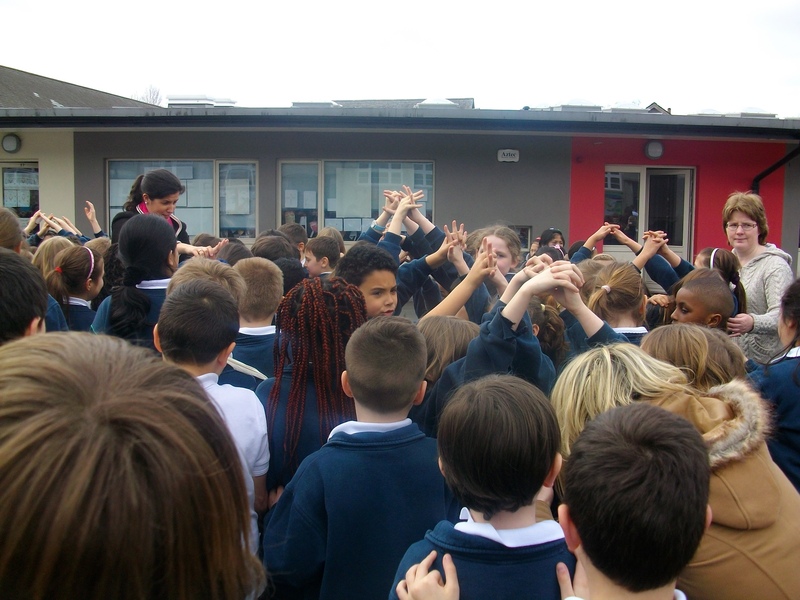 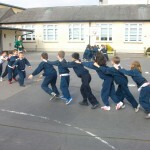 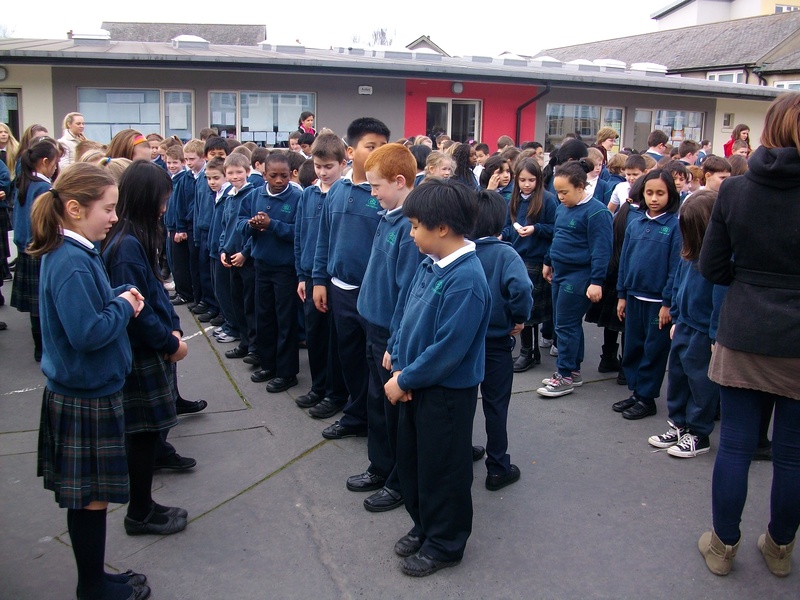 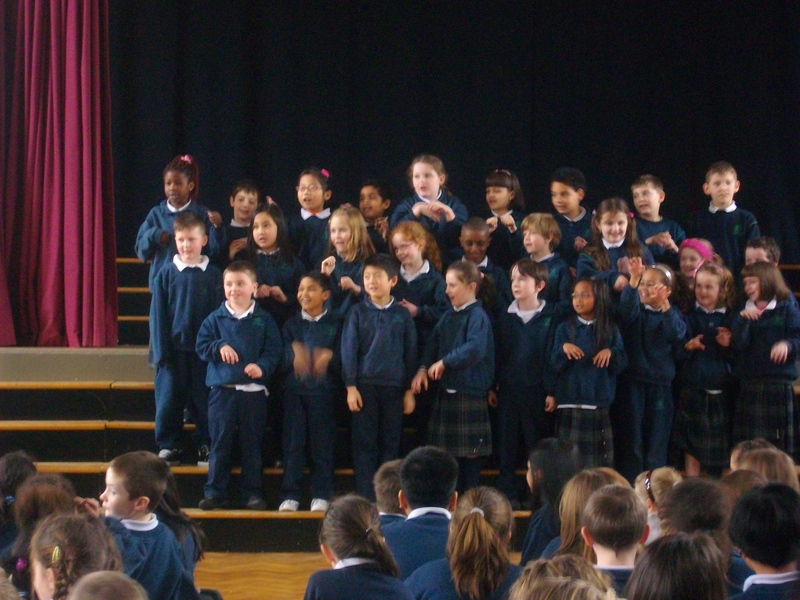 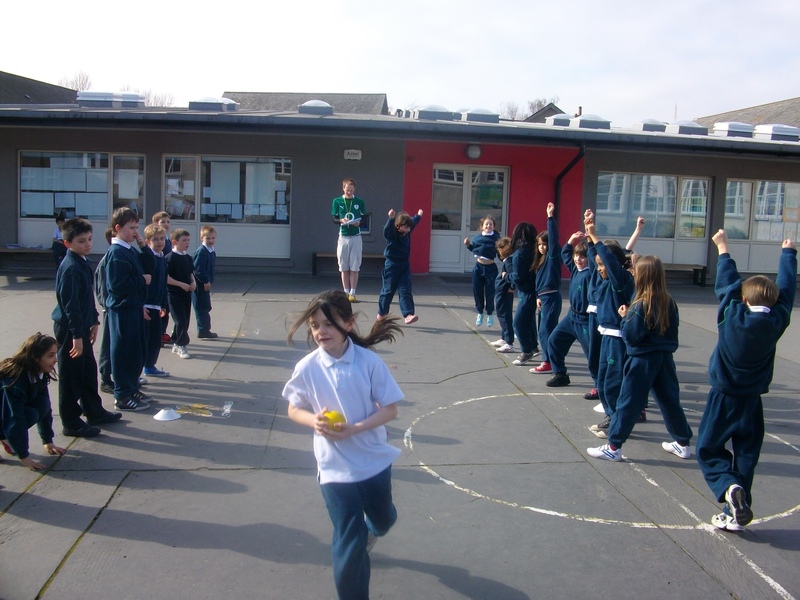 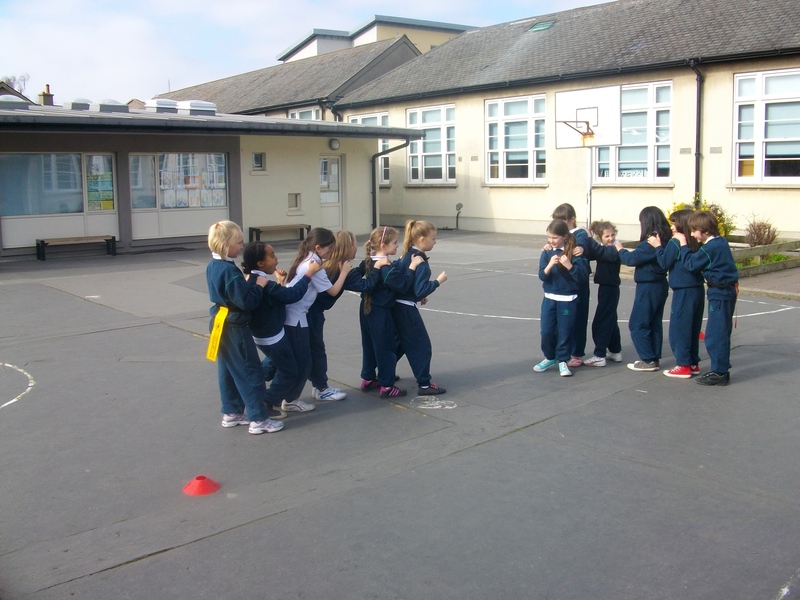 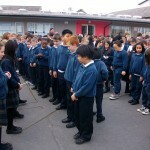 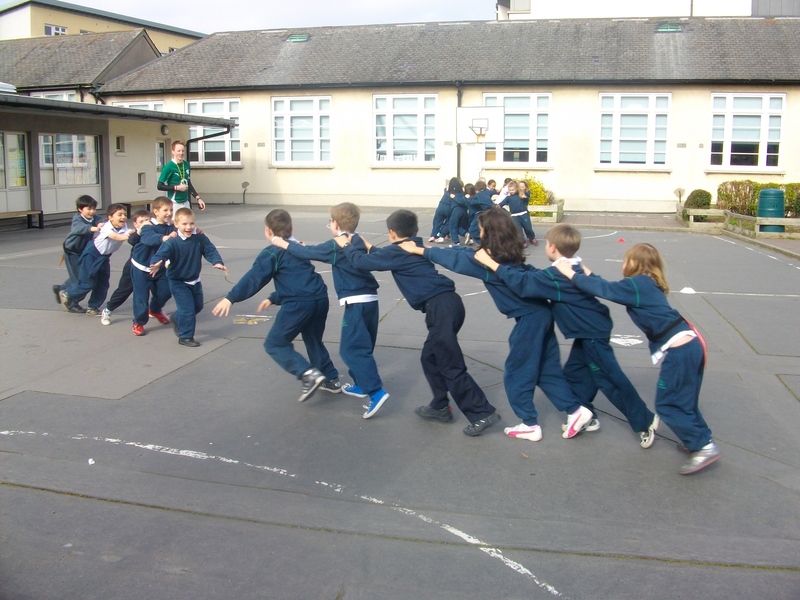 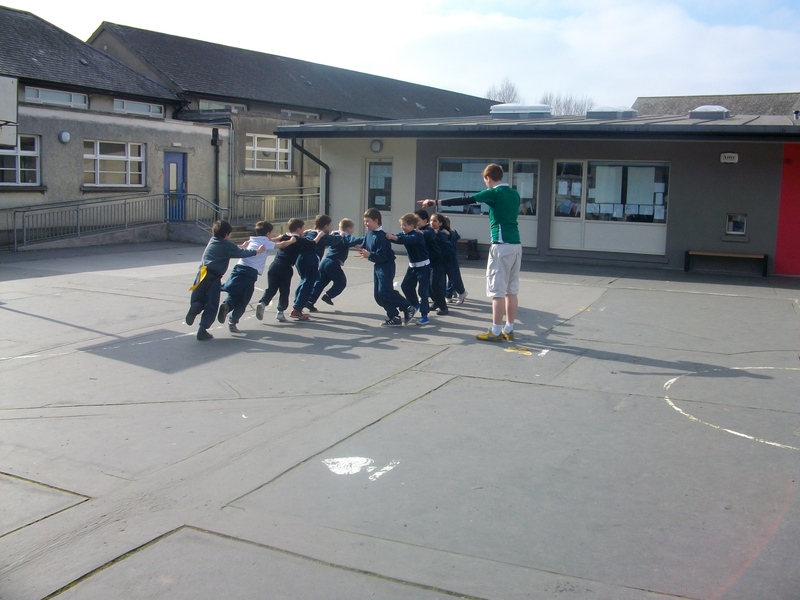 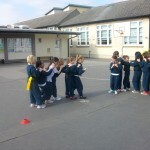 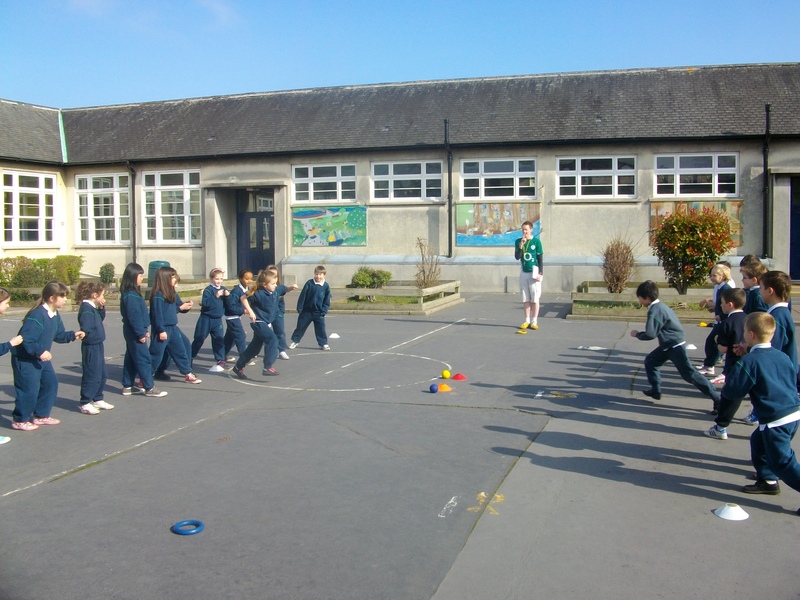 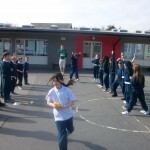 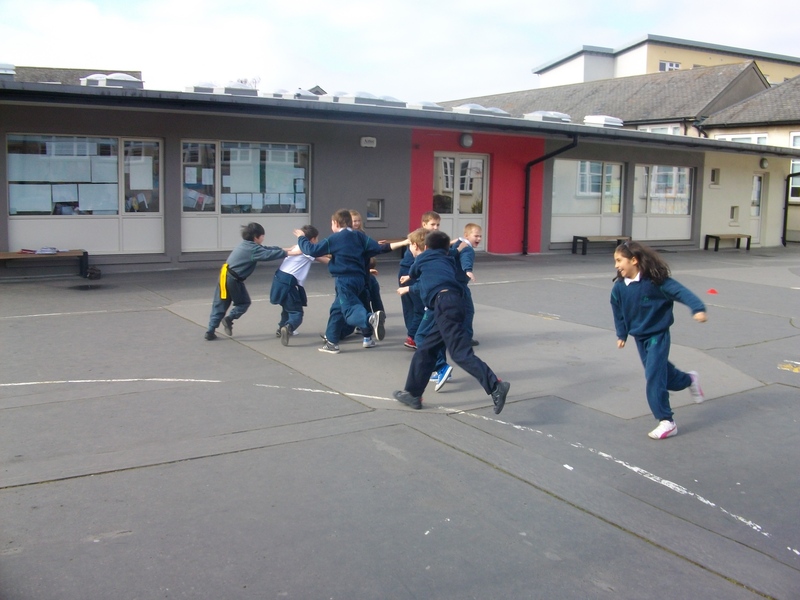 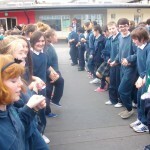 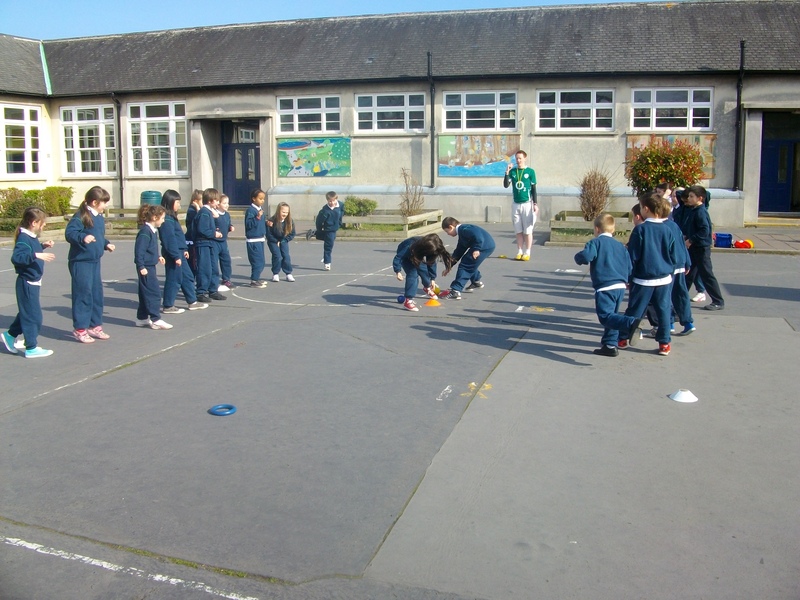 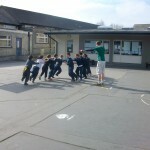 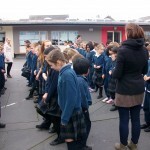 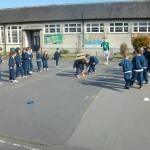 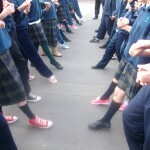 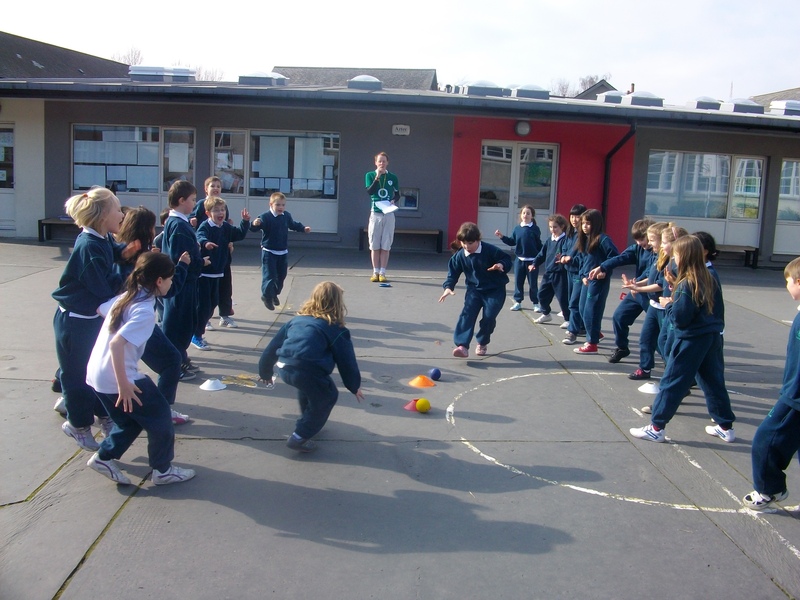 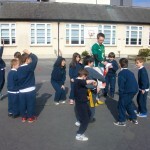 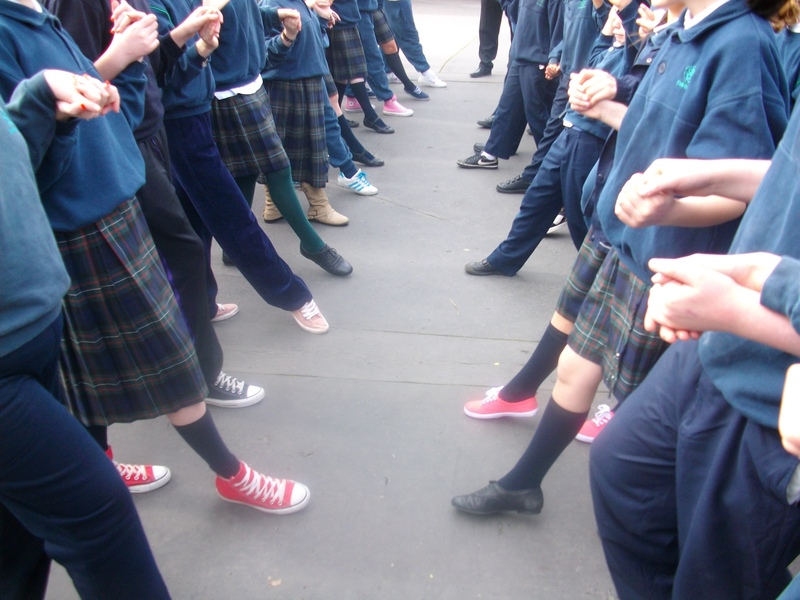 All of the boys and girls learned a new Irish dance – ‘The Bridge of Athlone’. 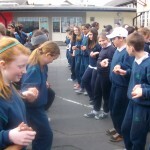 Everybody performed it in the yard. 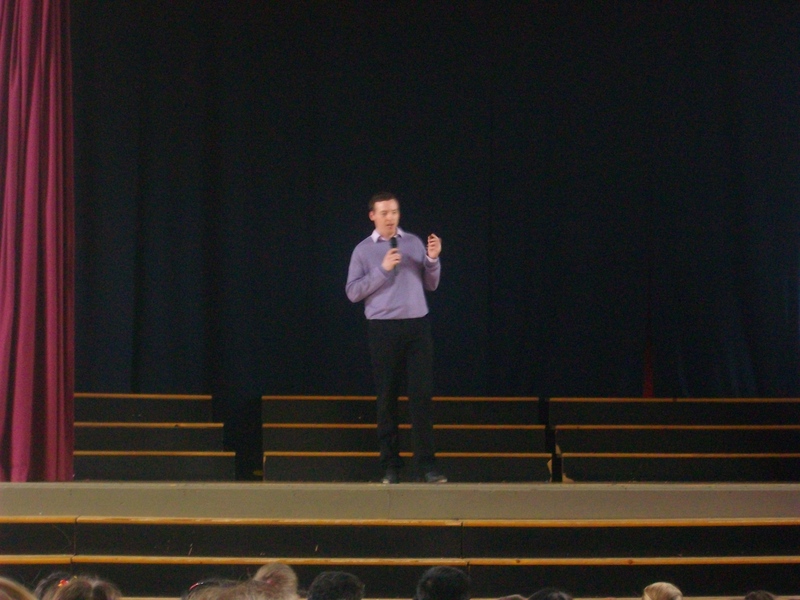 Mr Mc Garrigle taught everyone the dance and we had a great time! 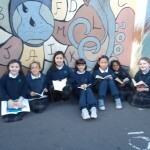 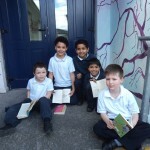 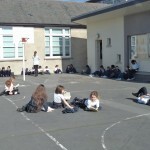 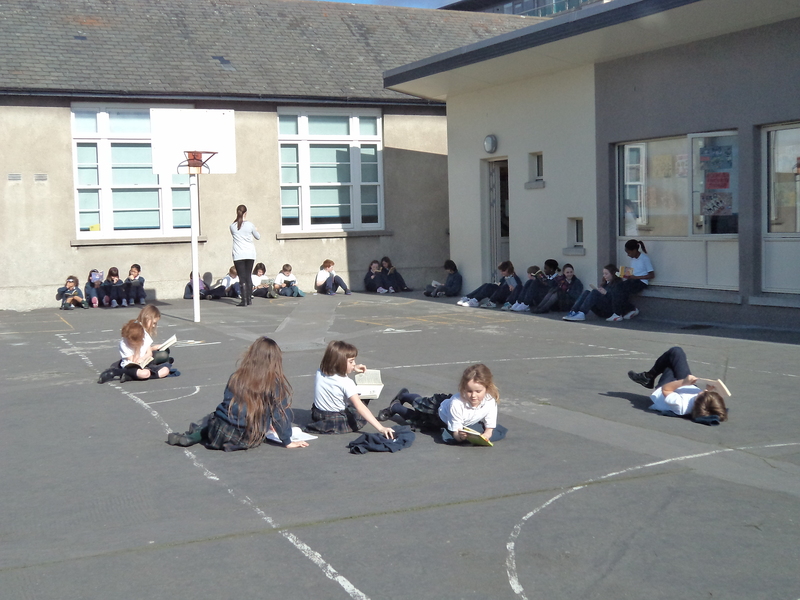 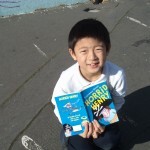 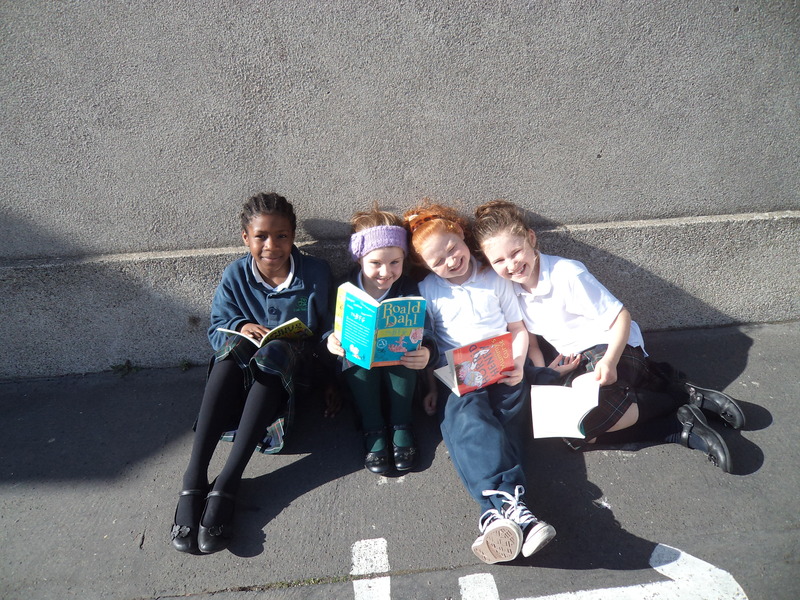 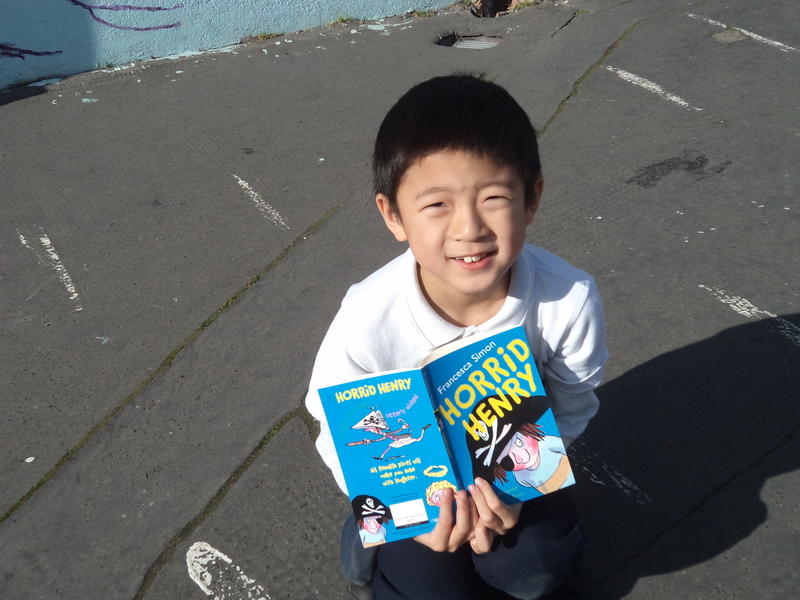 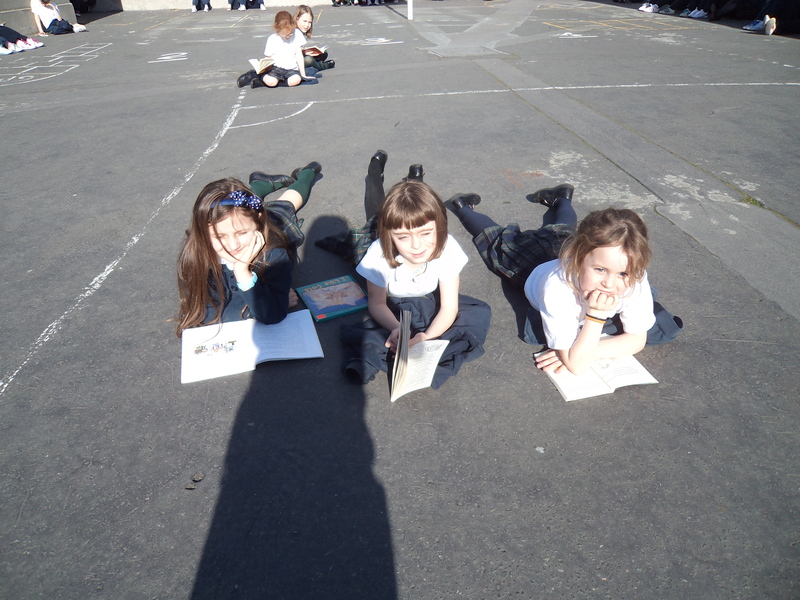 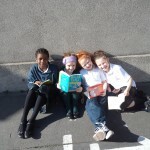 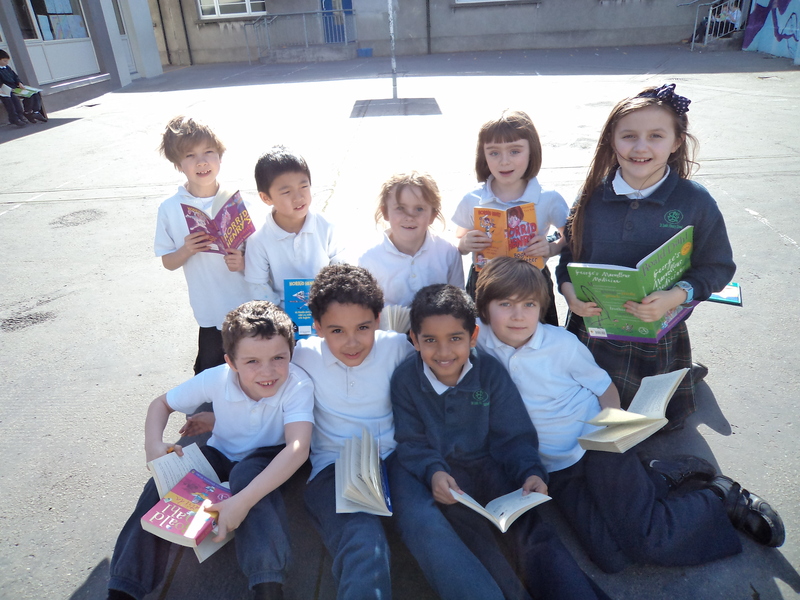 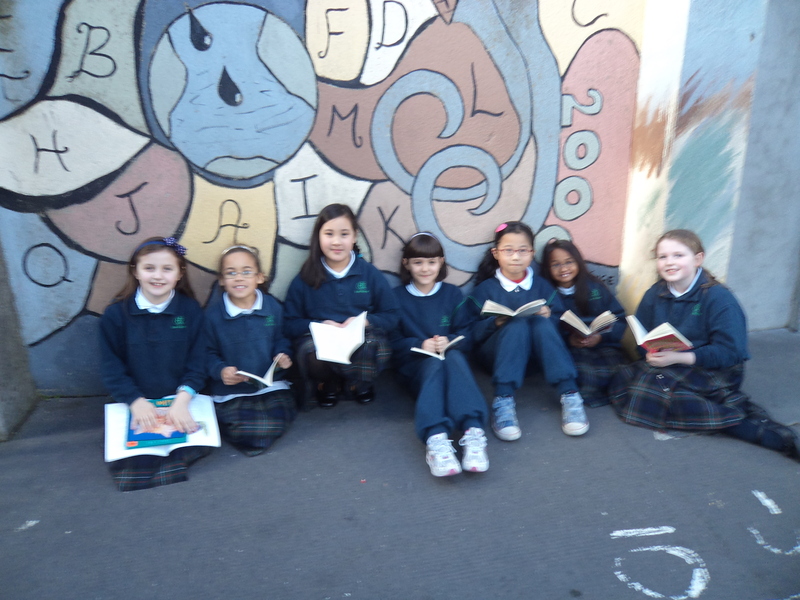 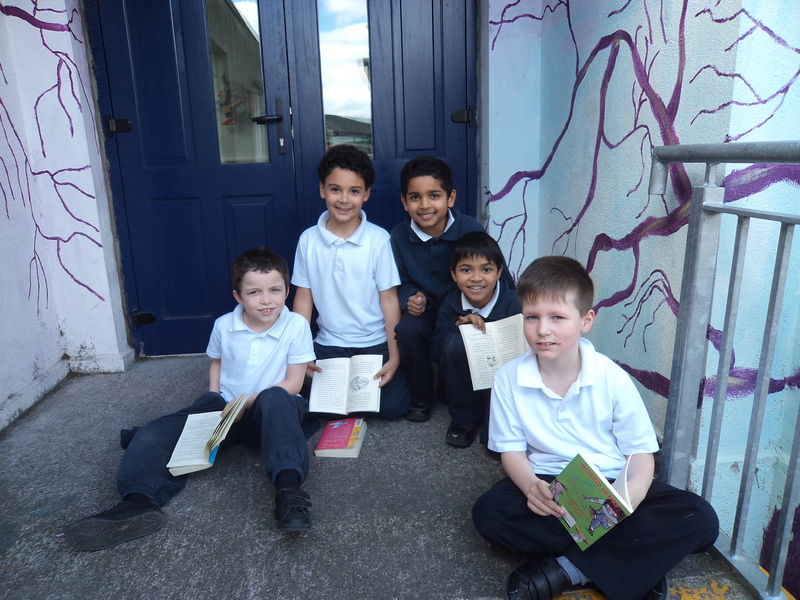 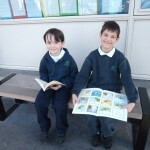 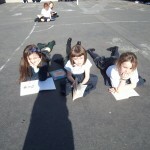 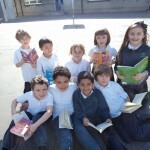 Room 11 celebrated World Book Day by heading out to the beautiful sunshine with a lovely book. 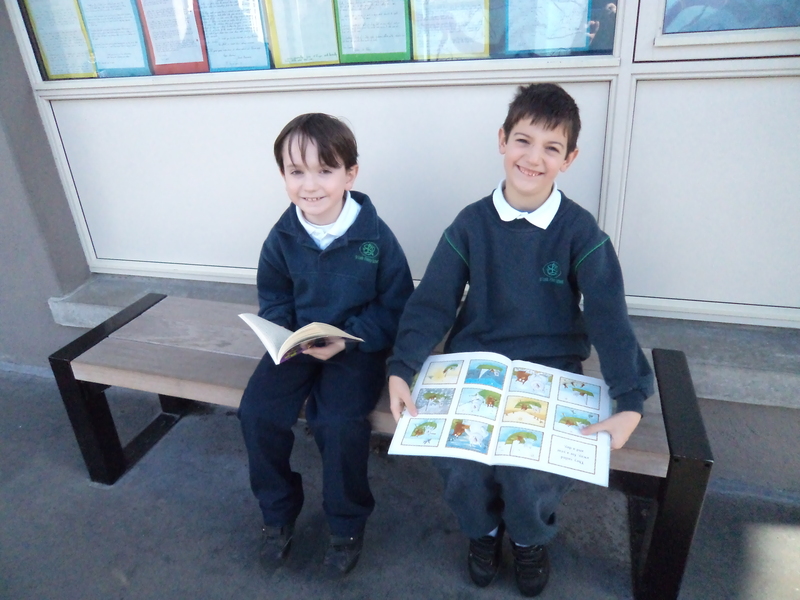 They read lots of different stories and had a lovely time!